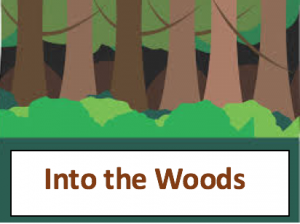 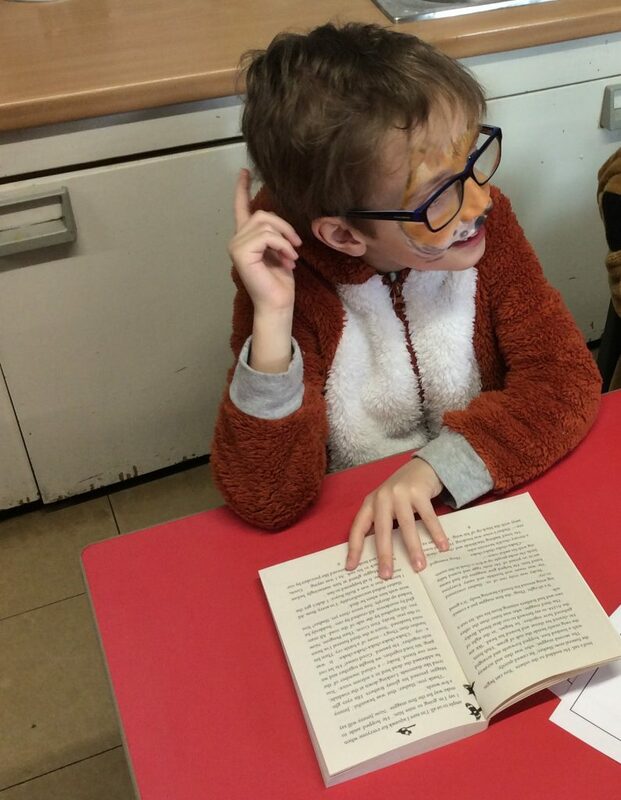 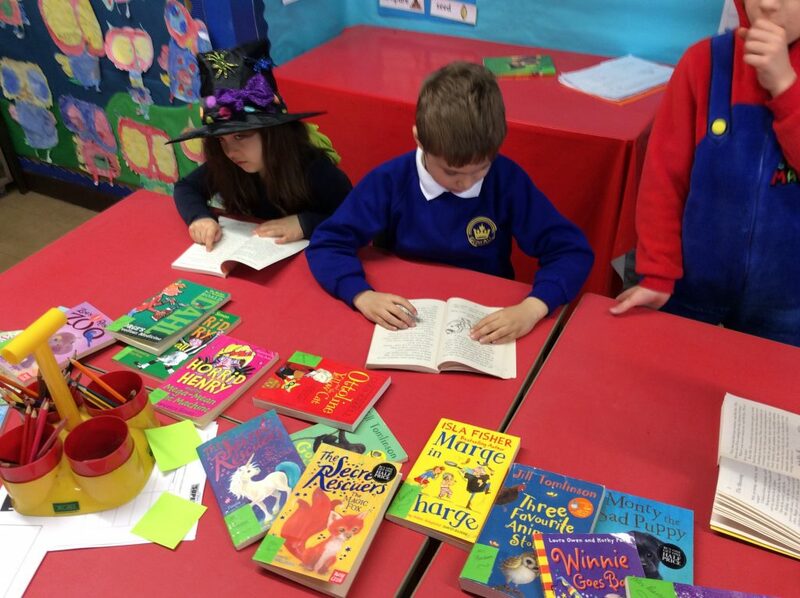 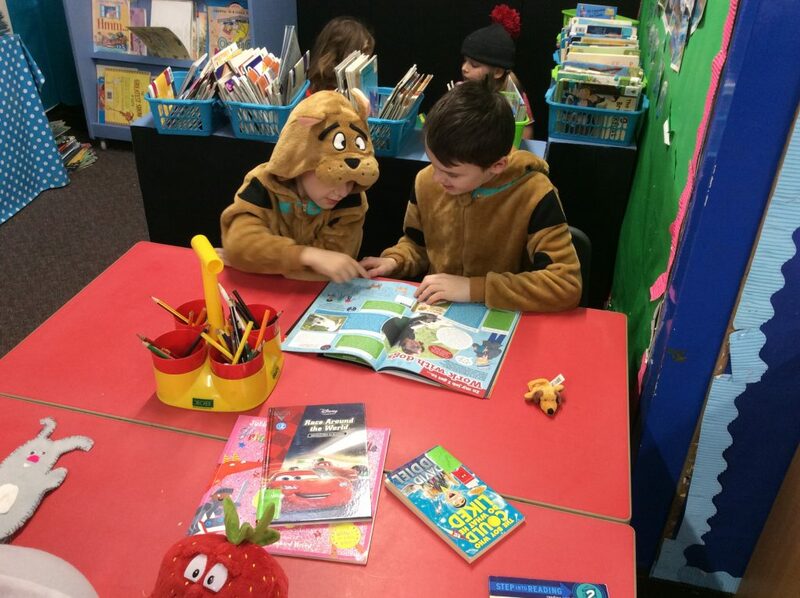 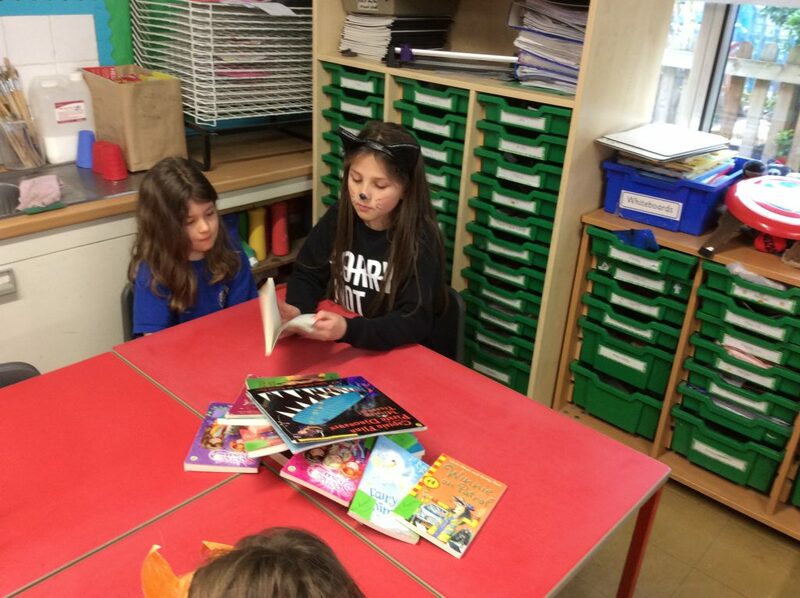 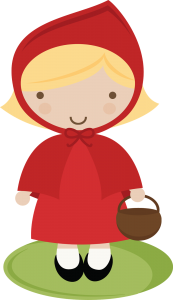 Our English work will focus around ‘Little Red Riding Hood’ this term. 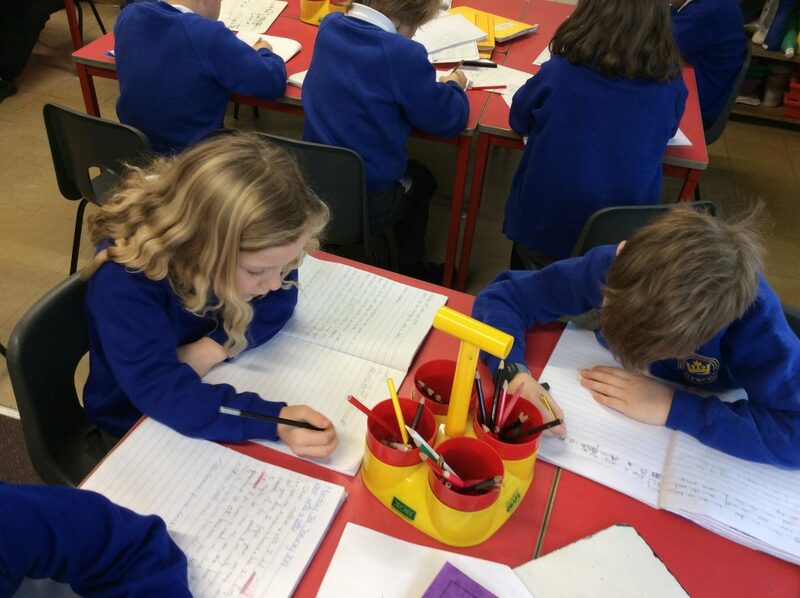 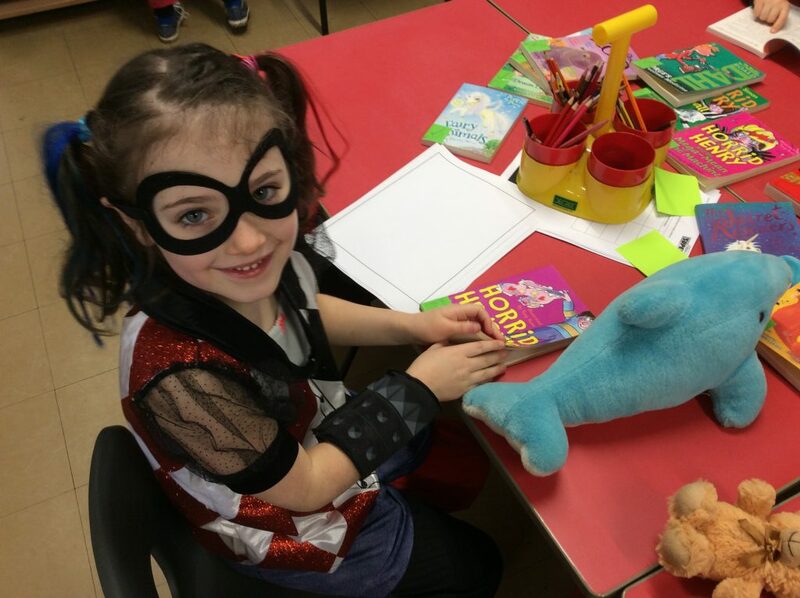 Children will write character descriptions, setting descriptions and letters. 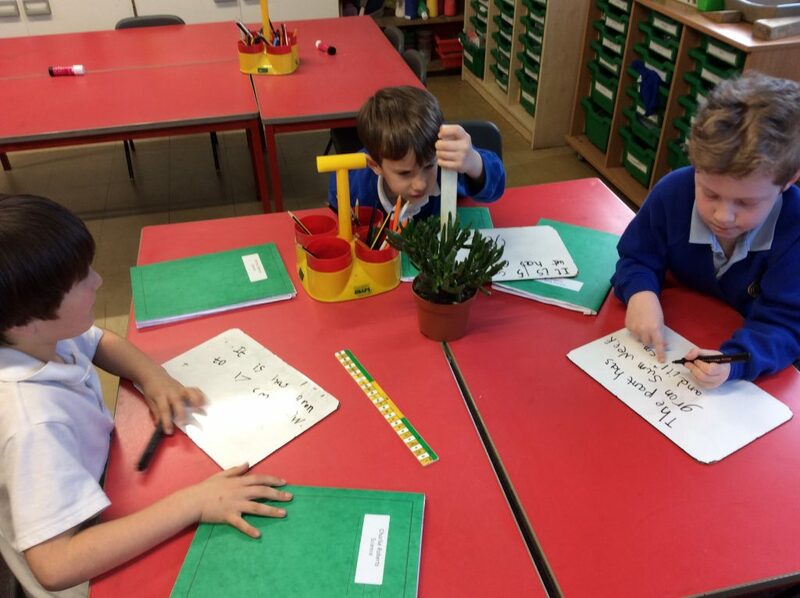 We will work towards adding and subtracting two 2-digit numbers and solving problems. 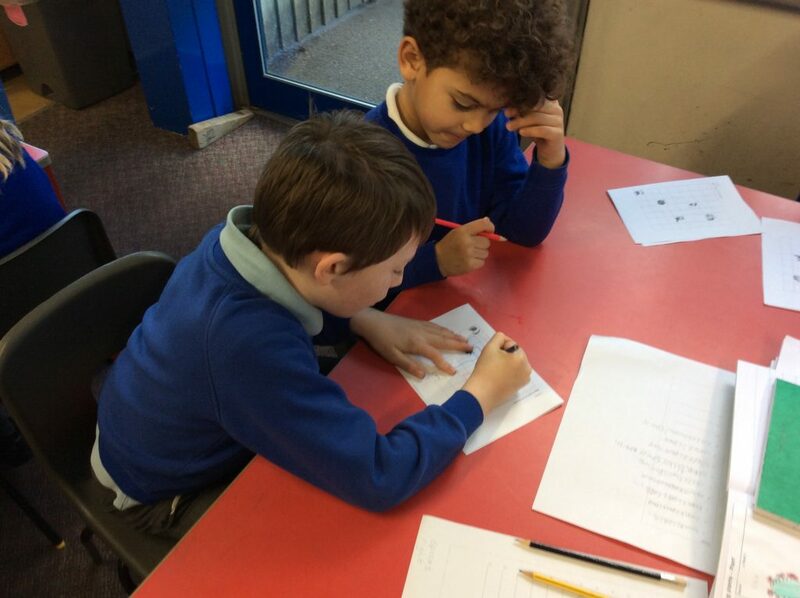 We will then move on to Multiplication and Division where our focus will be the 2, 5 and 10 times tables and related division facts. 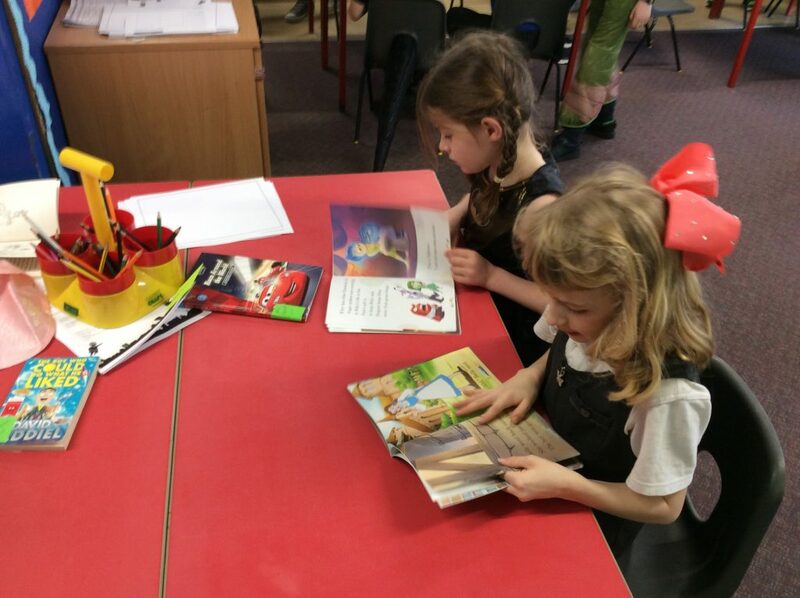 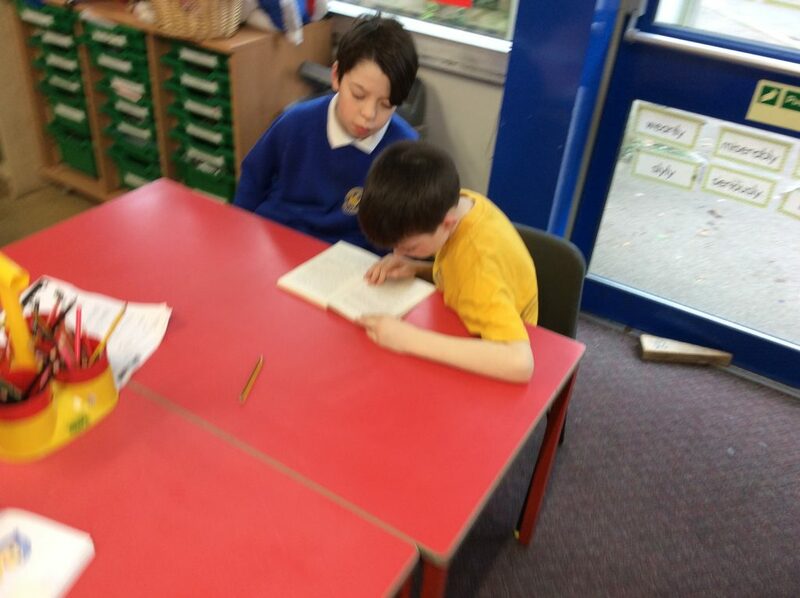 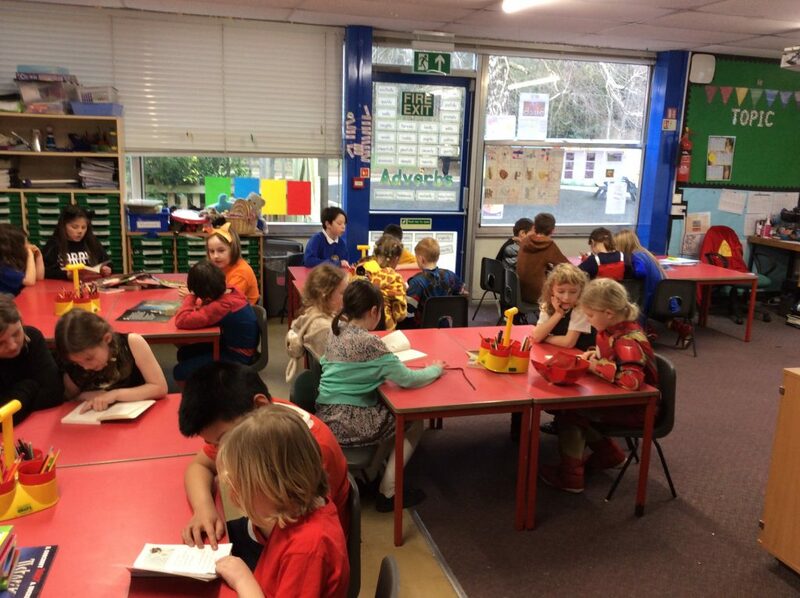 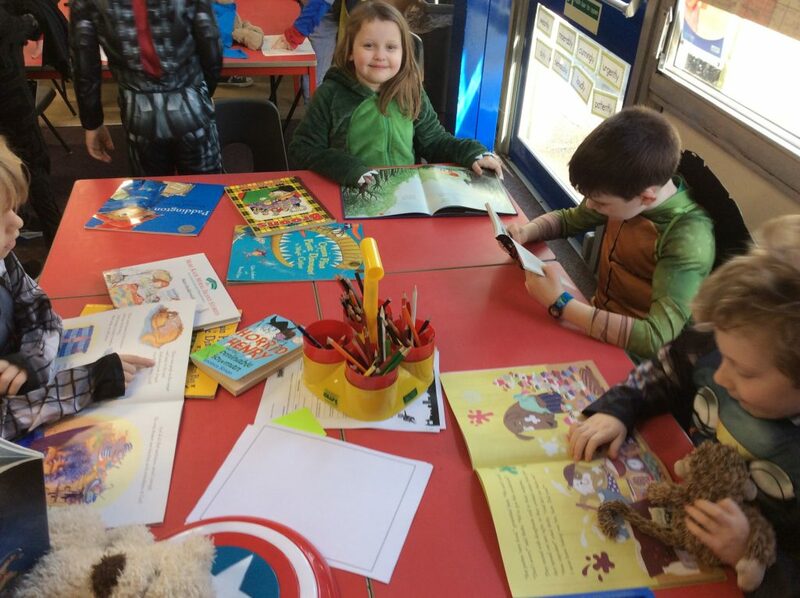 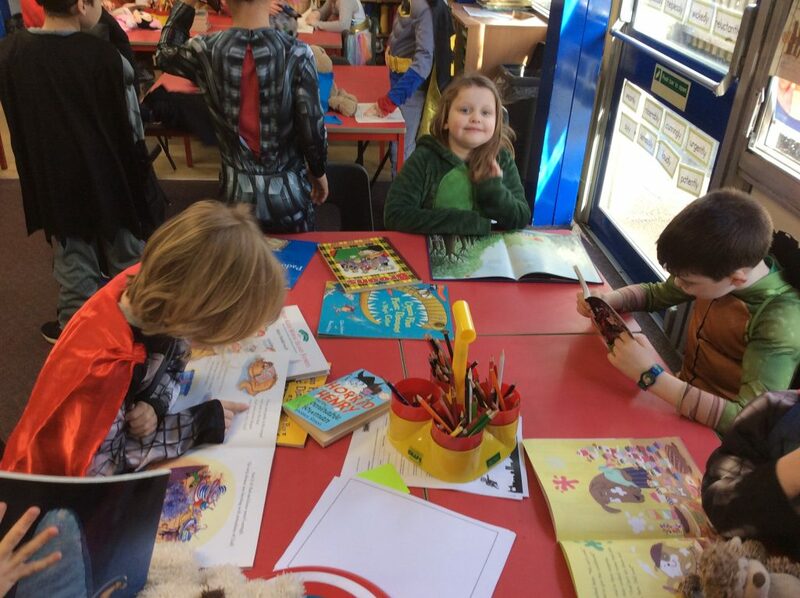 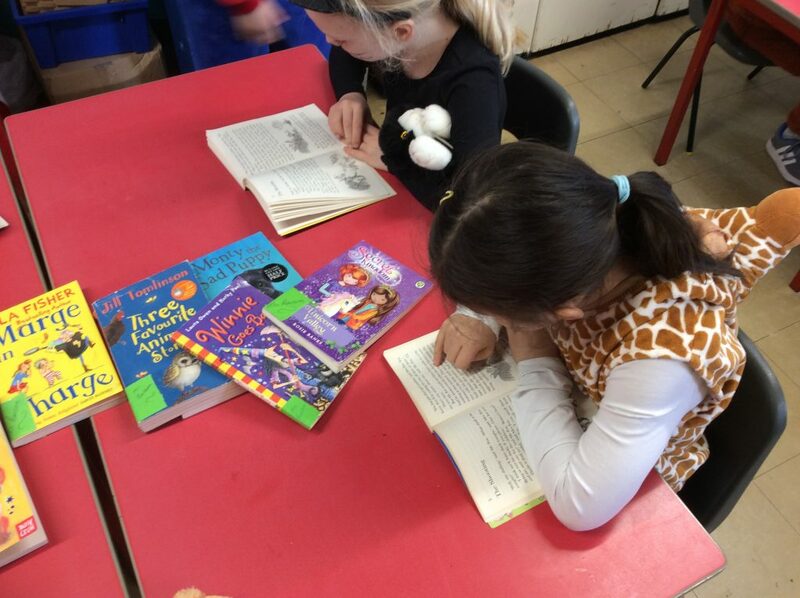 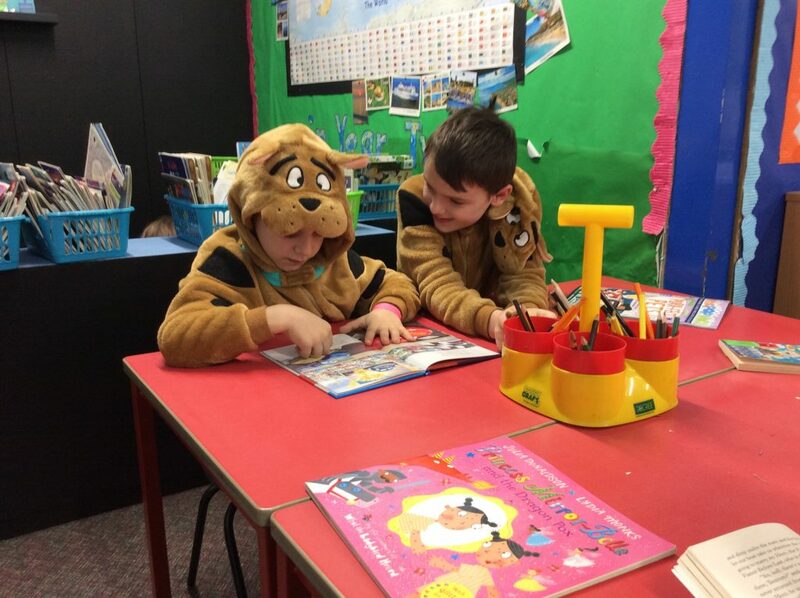 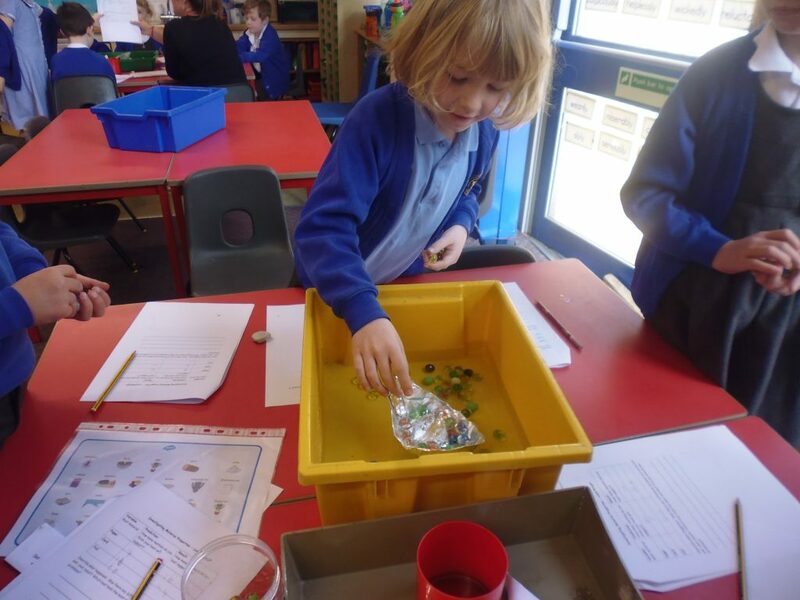 The children will also complete their learning on Capacity before moving on to Money. 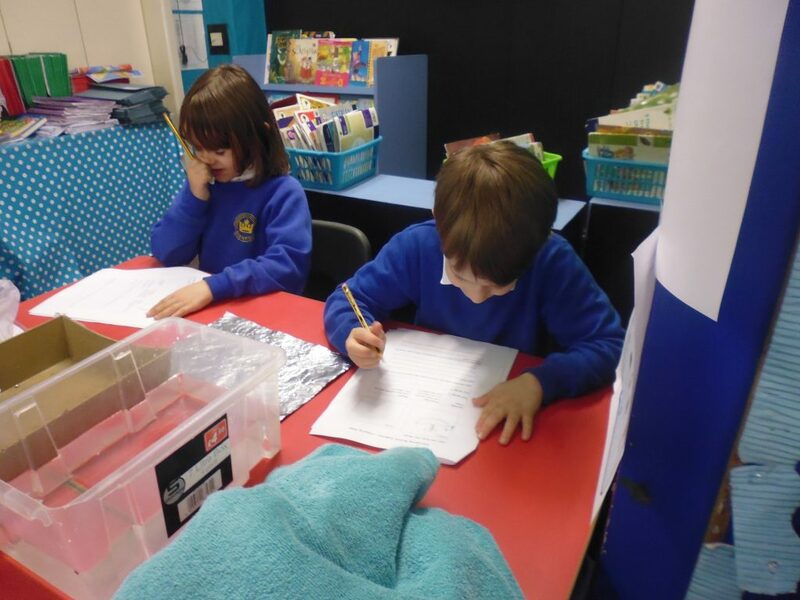 Here are the spelling lists for this term. 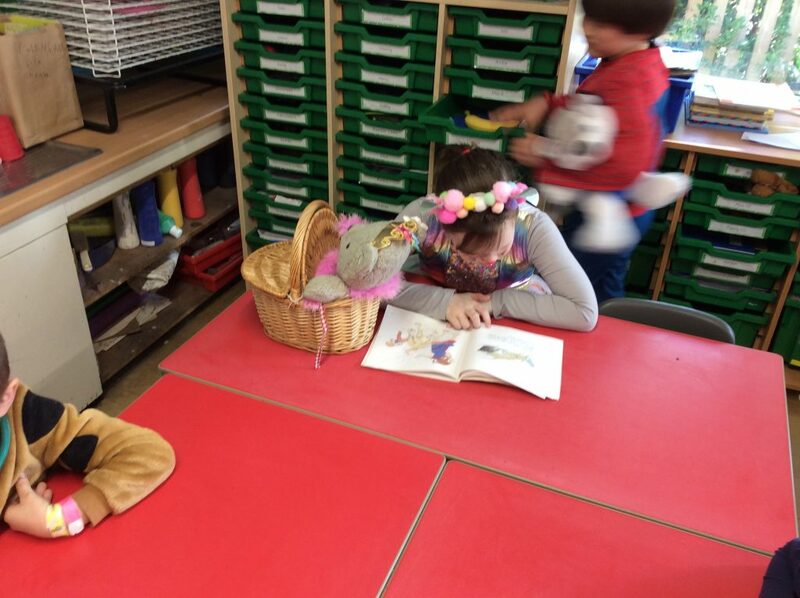 There will be weekly tests on a Friday. 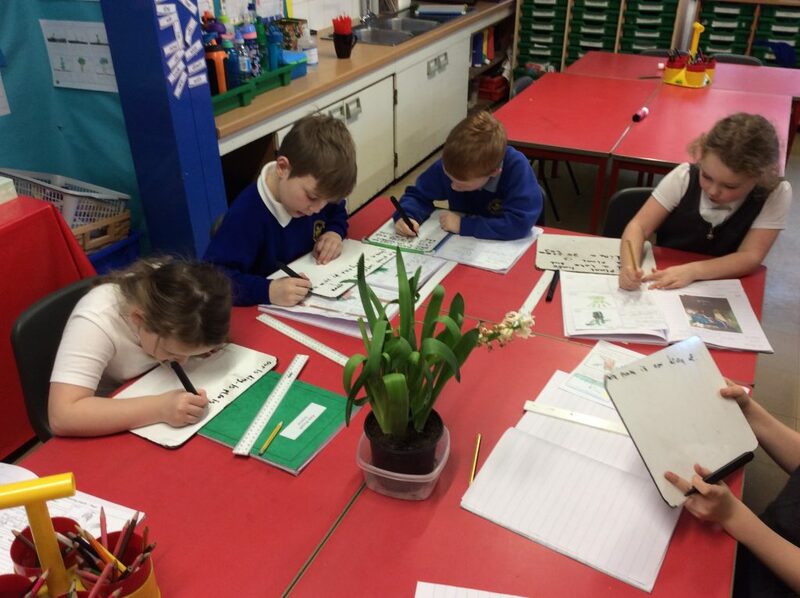 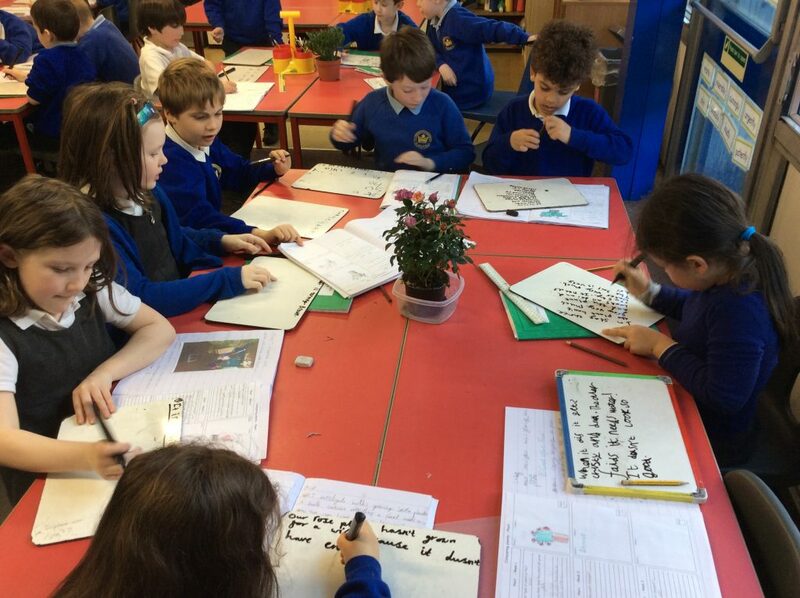 Children investigated the needs of four different plants. 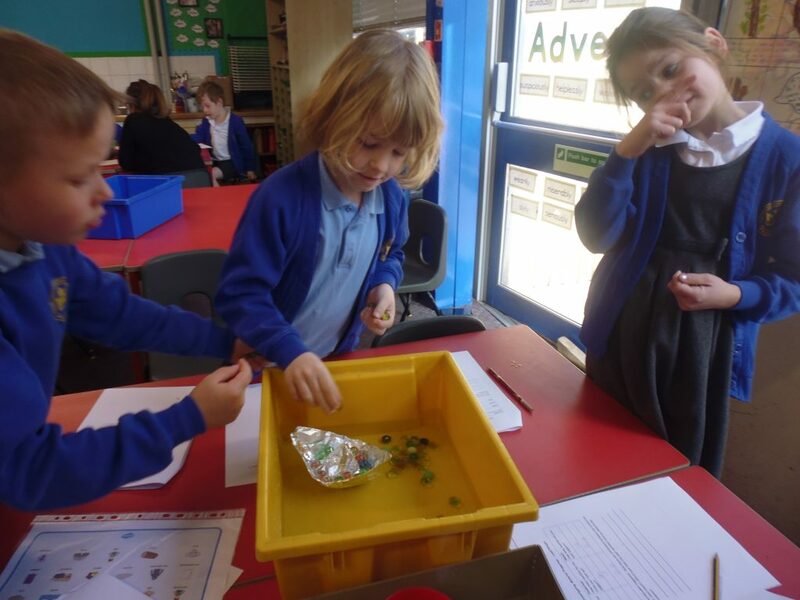 We made predictions and observed the plants over a 3-week period. 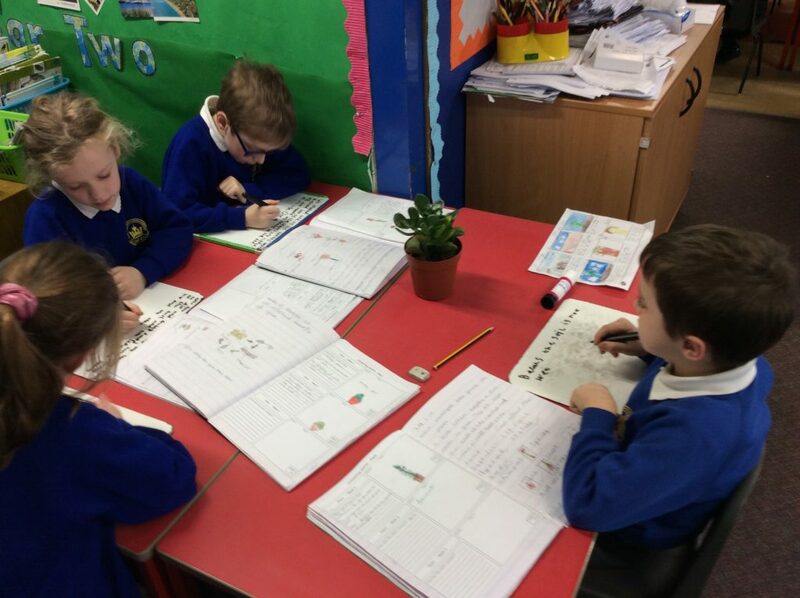 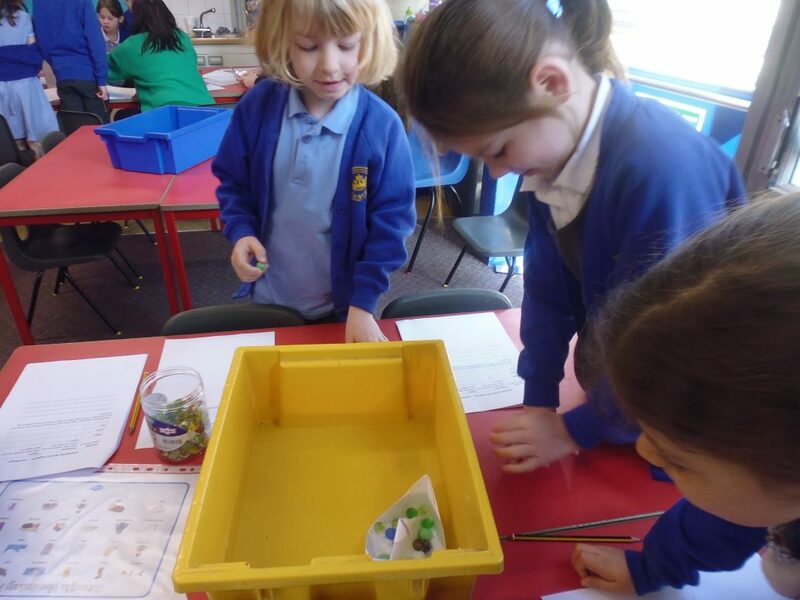 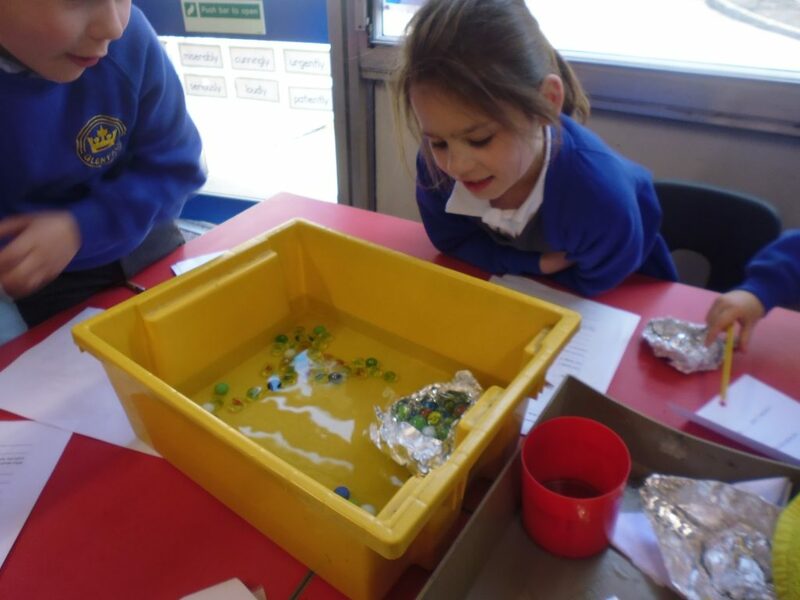 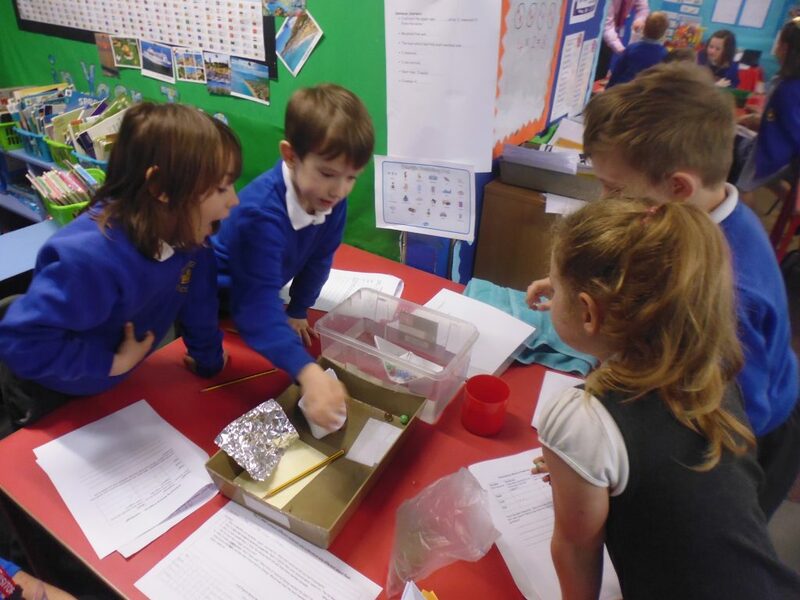 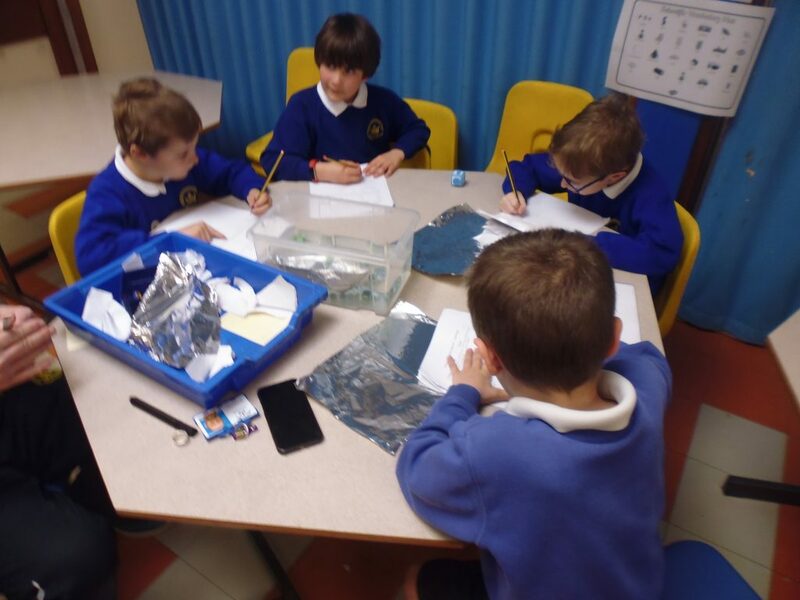 Children described how plants need water, light and a suitable temperature to grow and stay healthy. 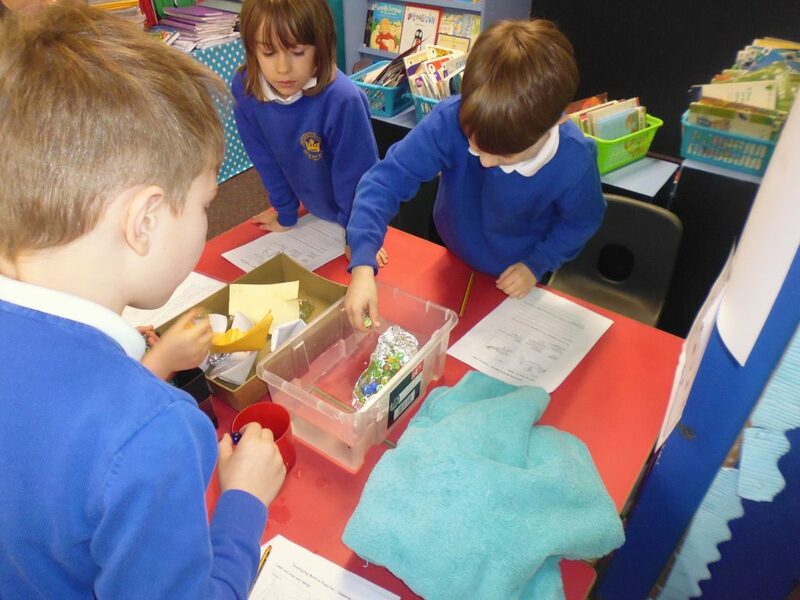 Can a paper boat float? 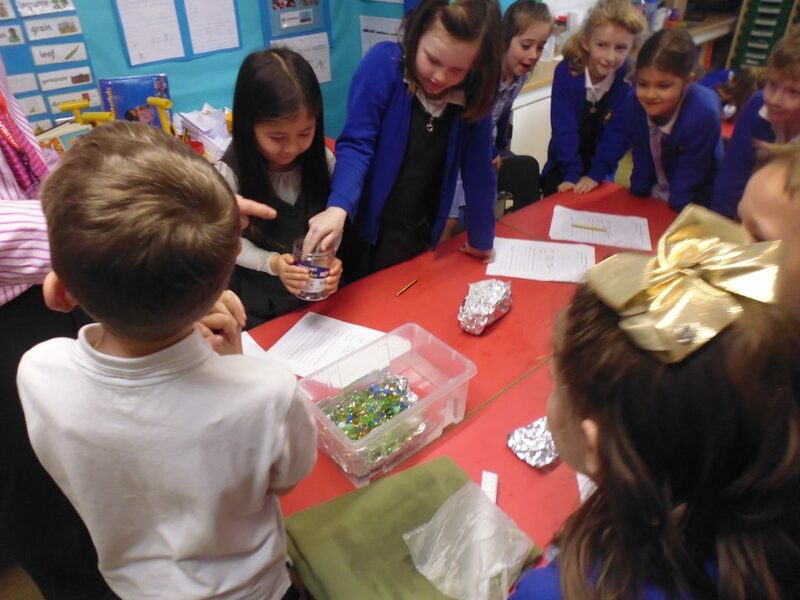 How many marbles can it hold? 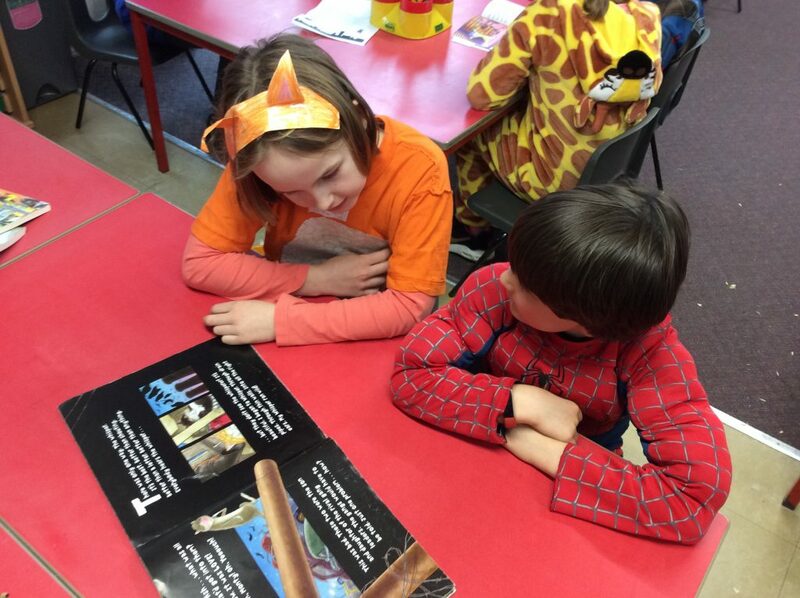 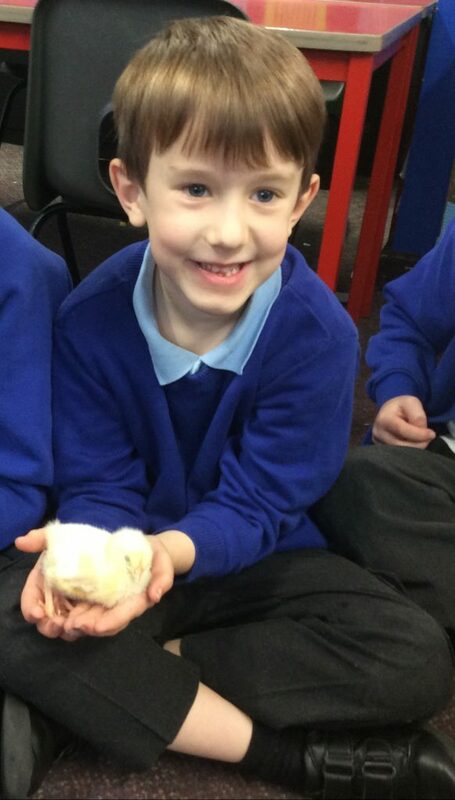 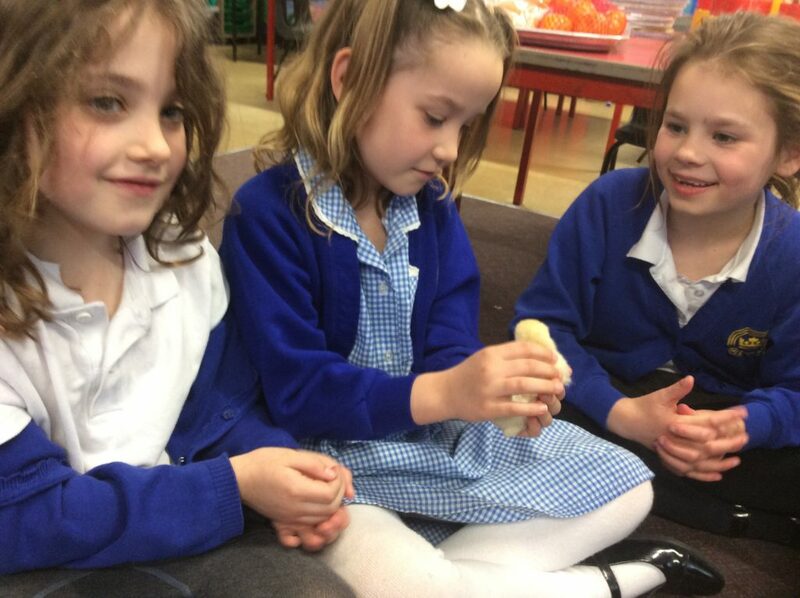 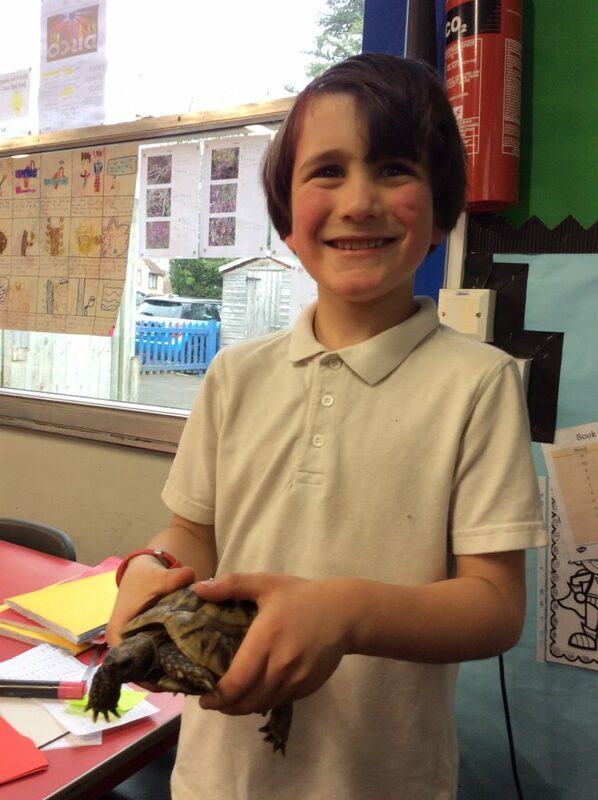 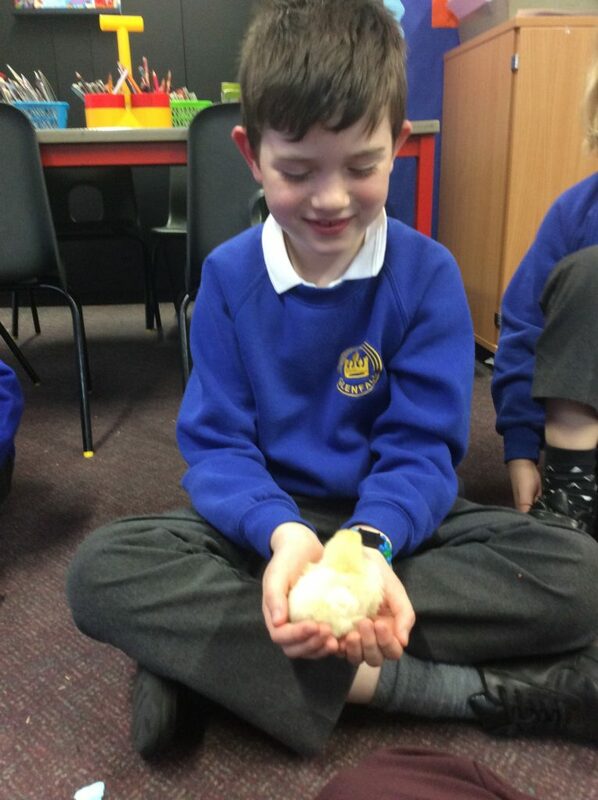 Positive learning experiences, as Year 2 gently held little Spring chicks and listened to a talk about a pet tortoise. 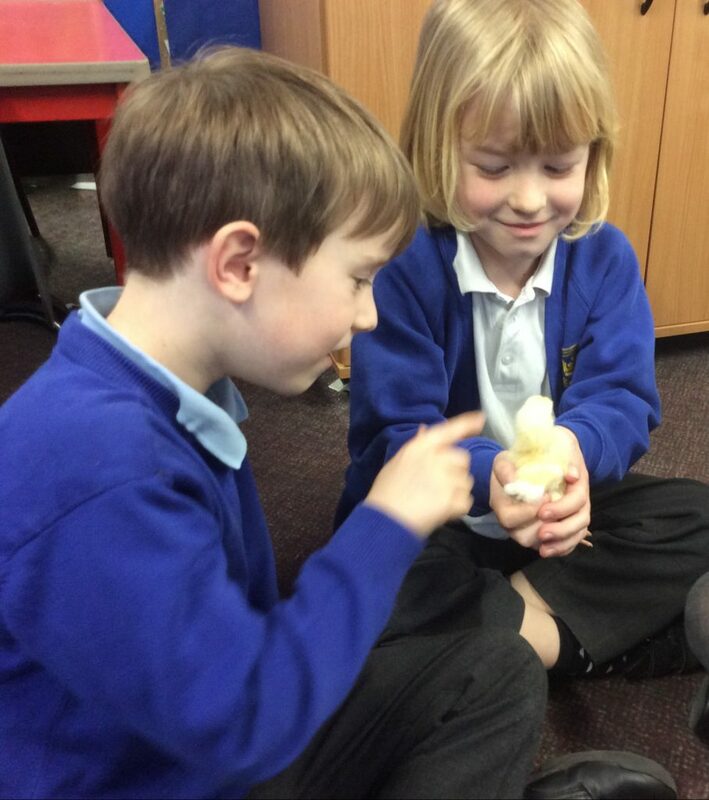 Lots of questions and discussion. 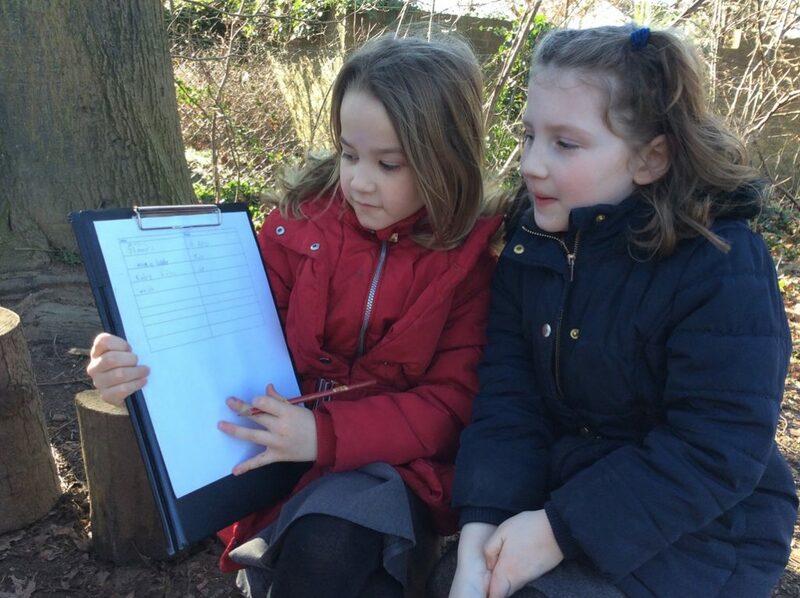 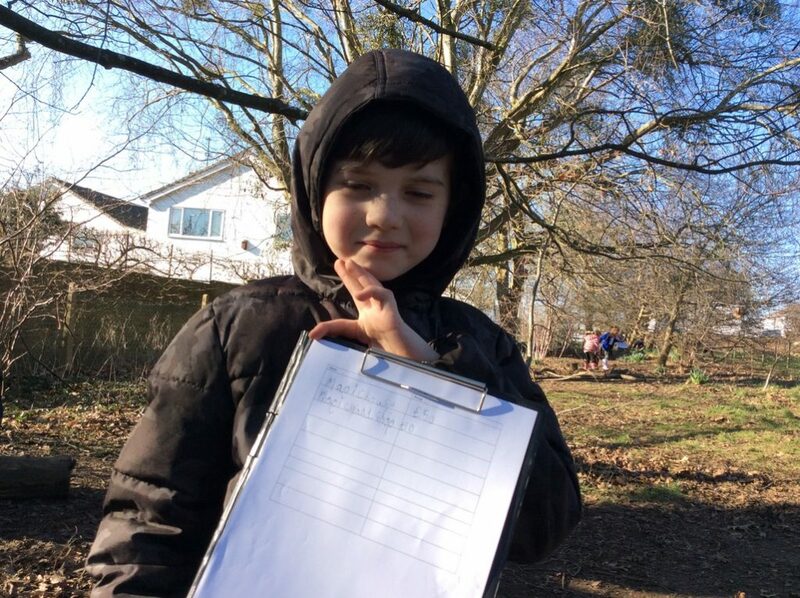 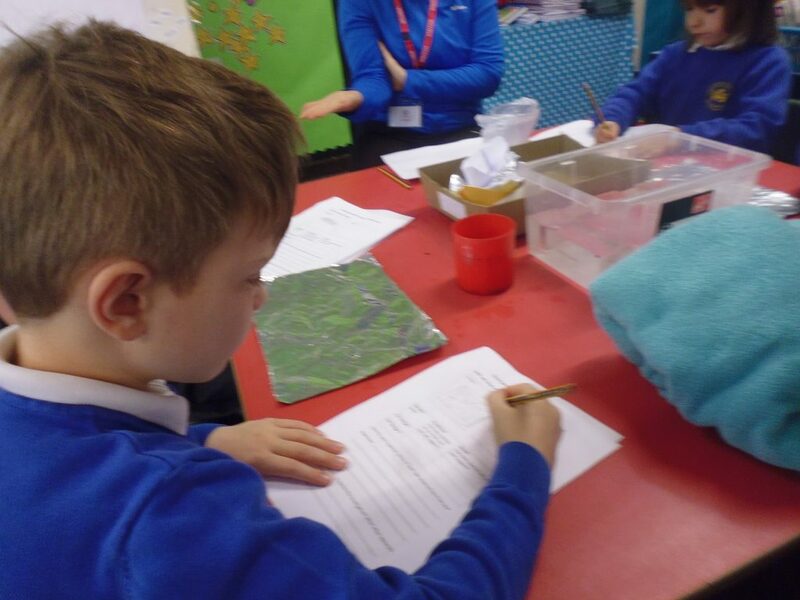 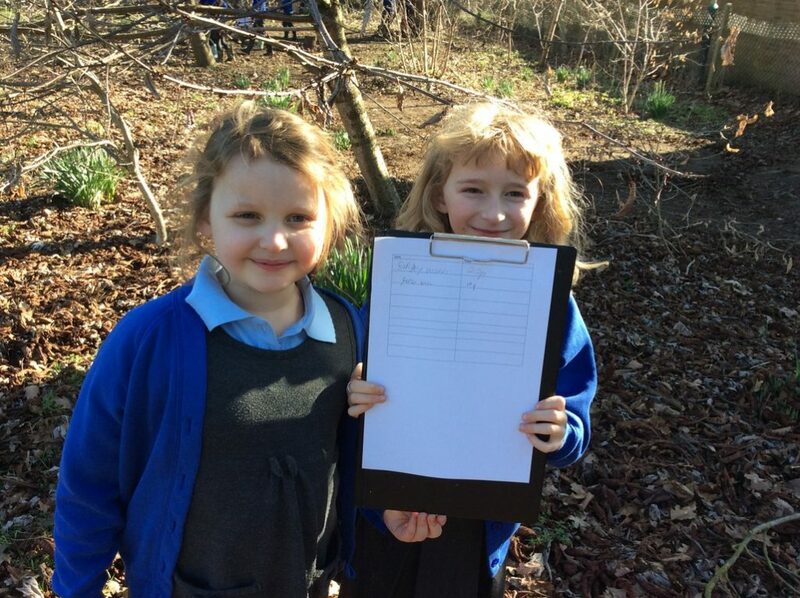 Creating a price list for a nature shop. 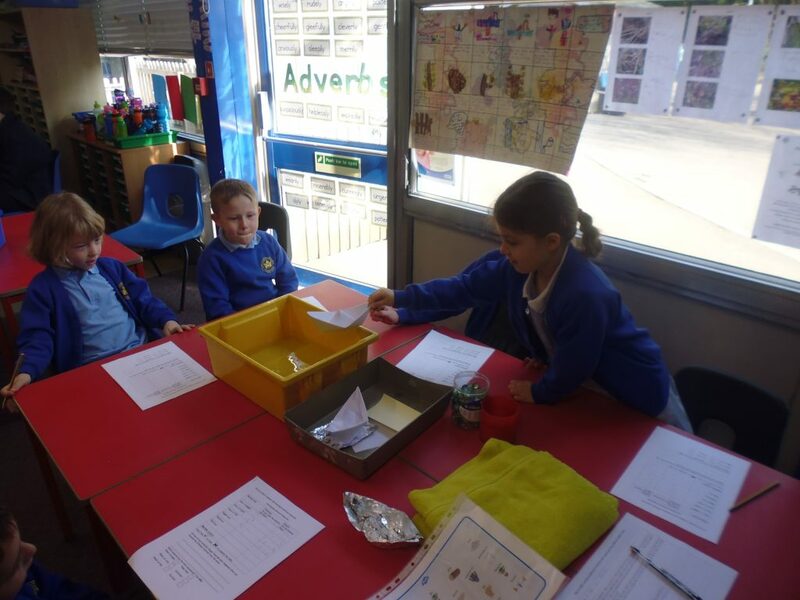 Agreeing the cost of their items. 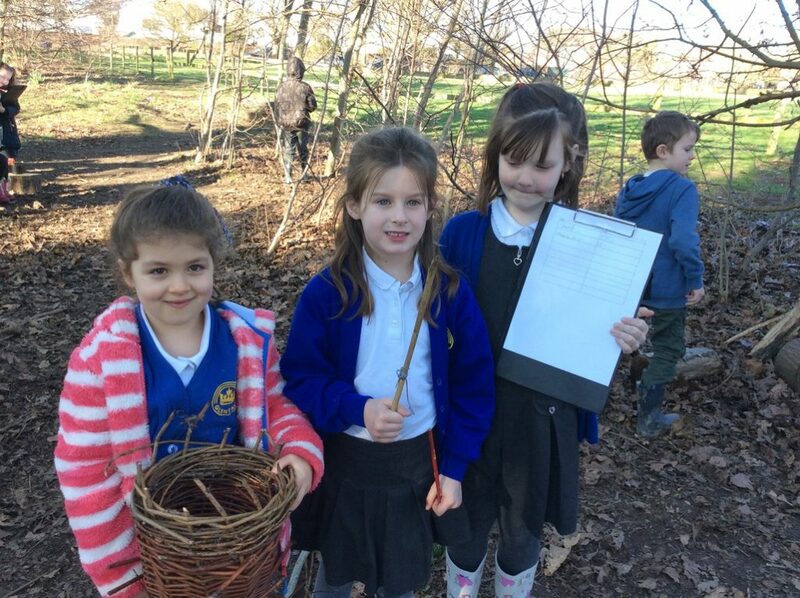 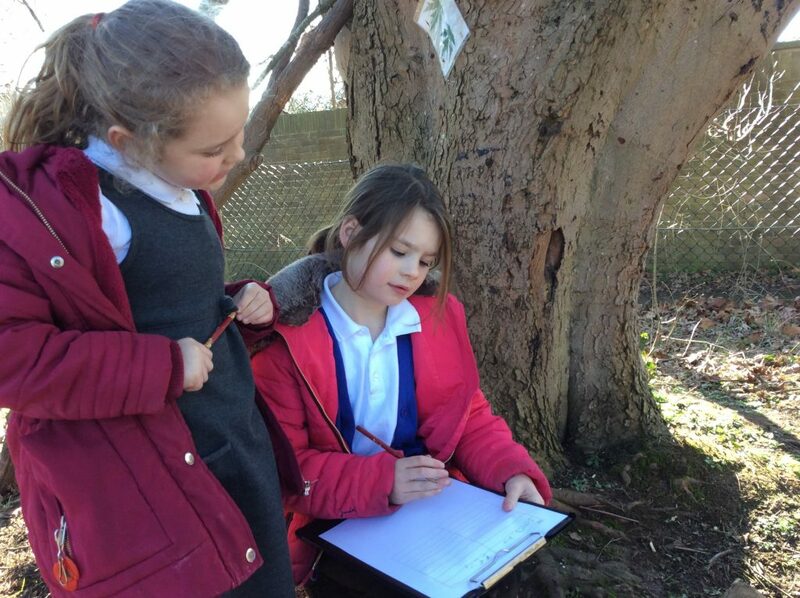 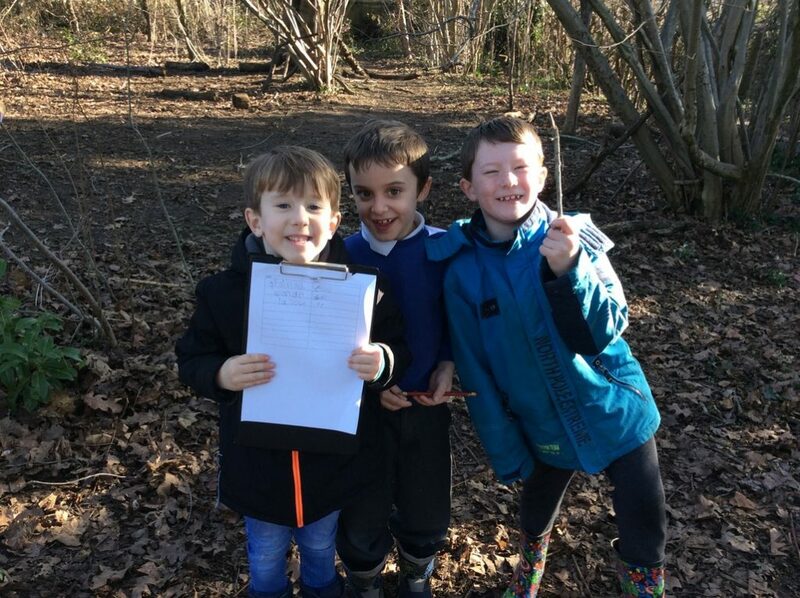 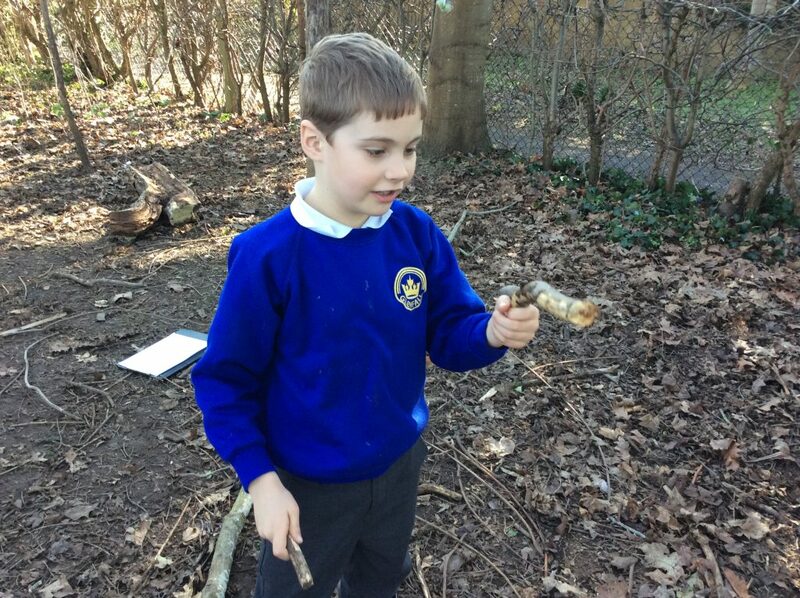 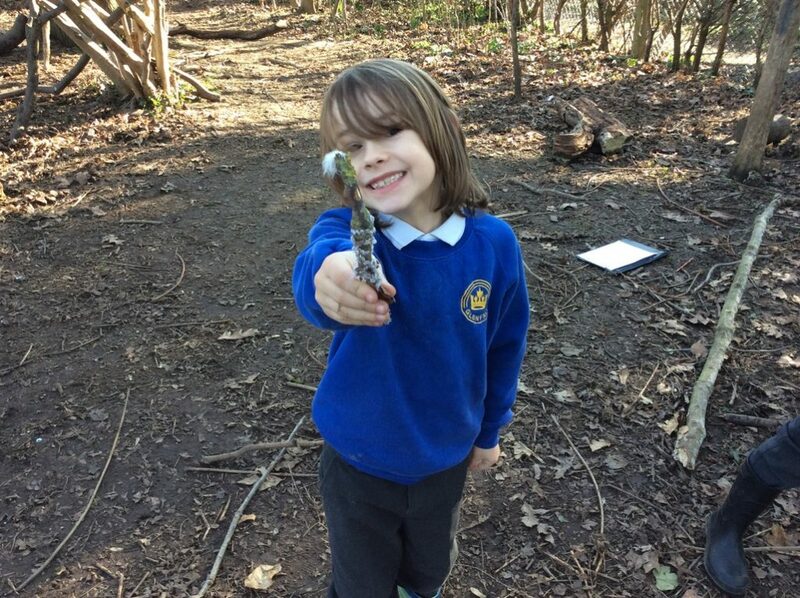 Magical wands and other special objects to sell in Forest School. 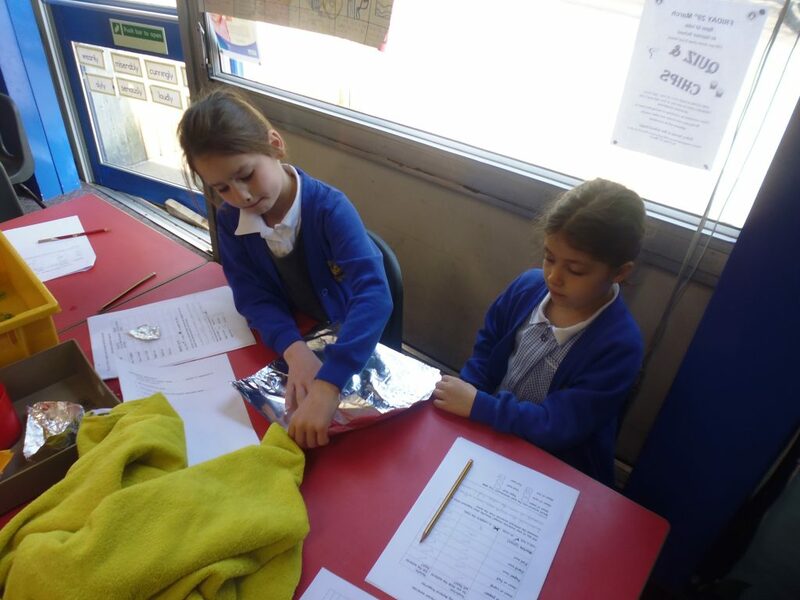 Using symbols for pounds (£) and pence (p). 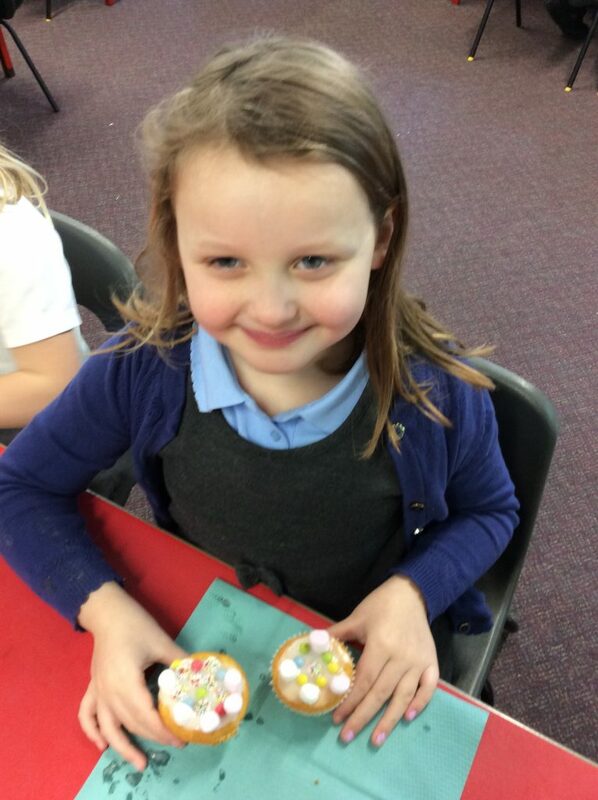 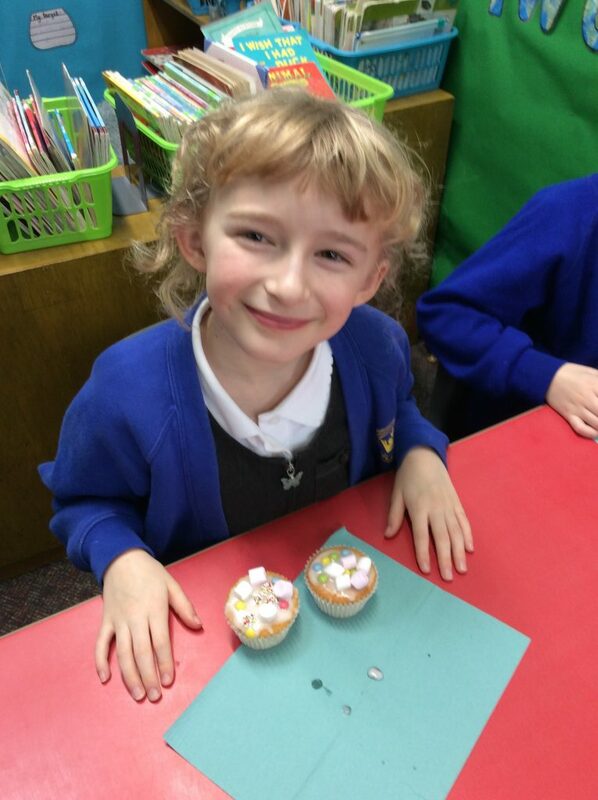 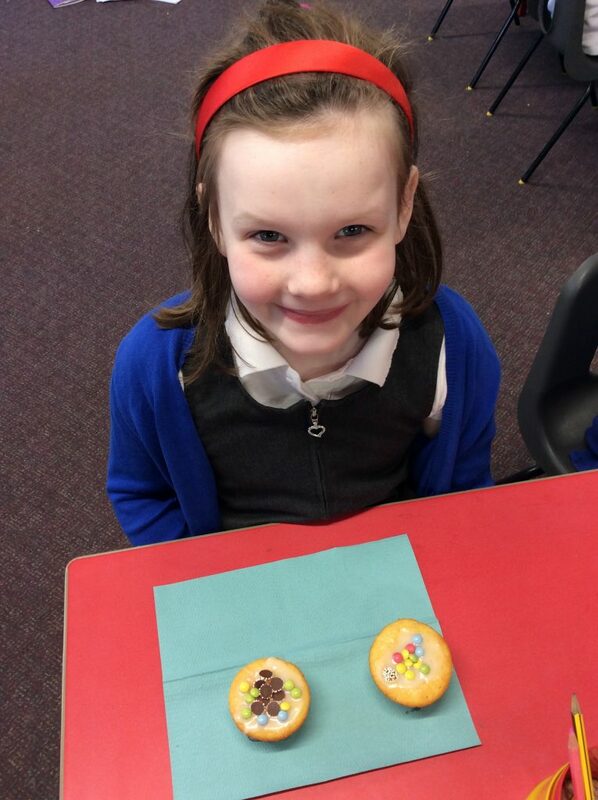 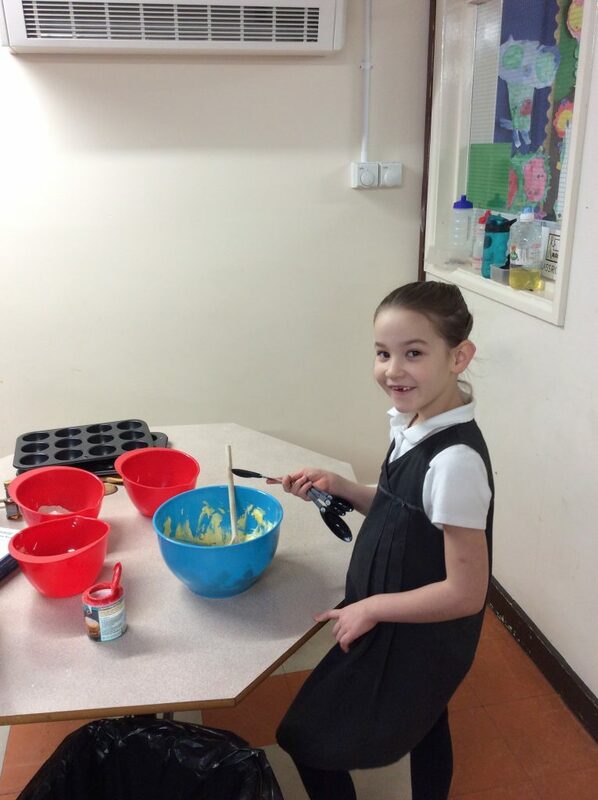 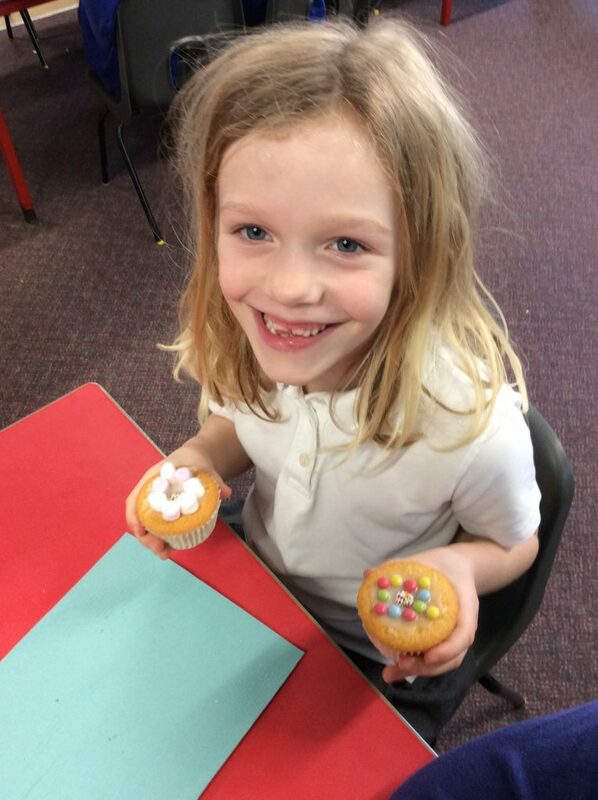 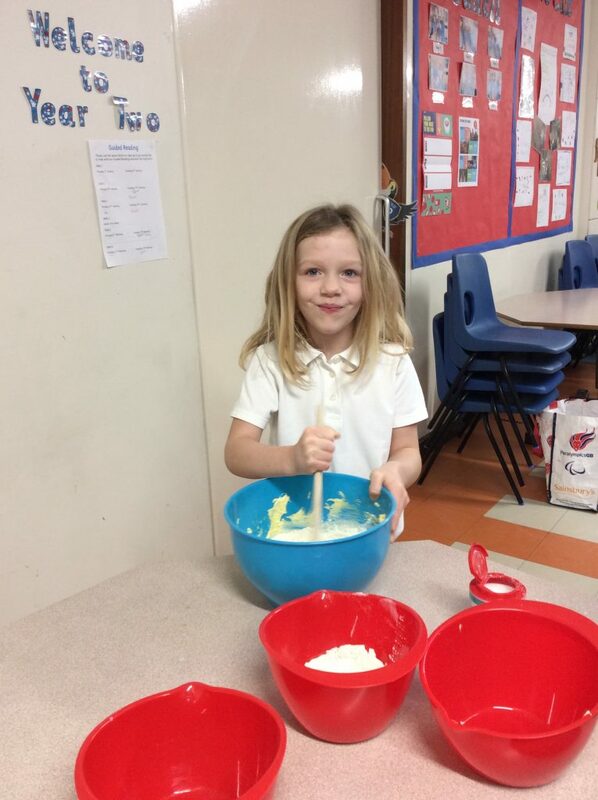 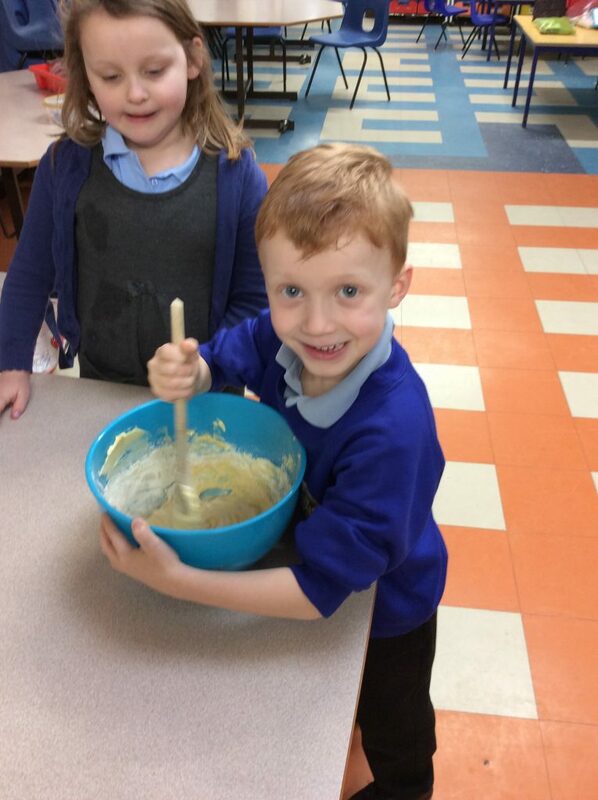 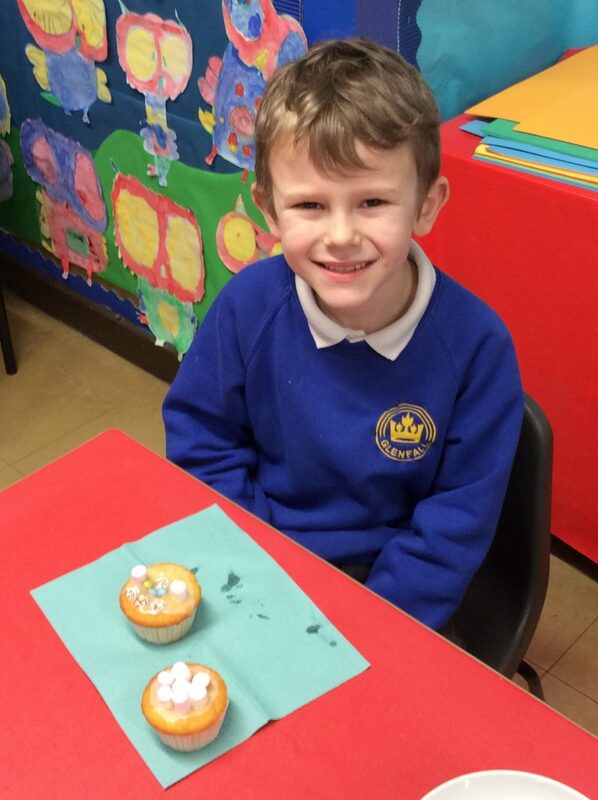 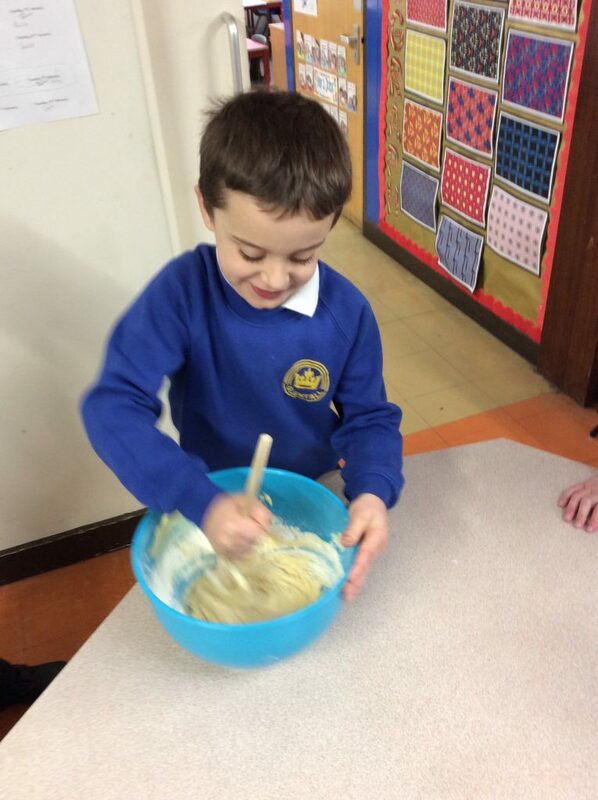 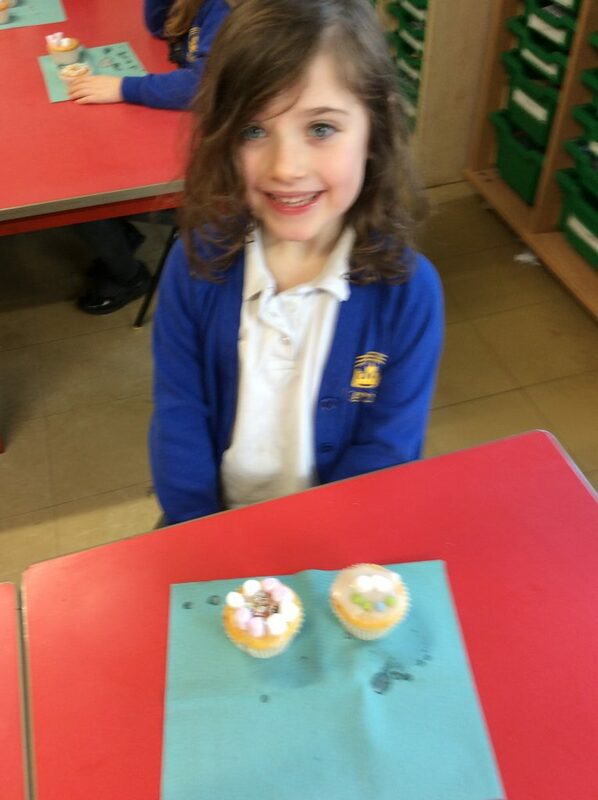 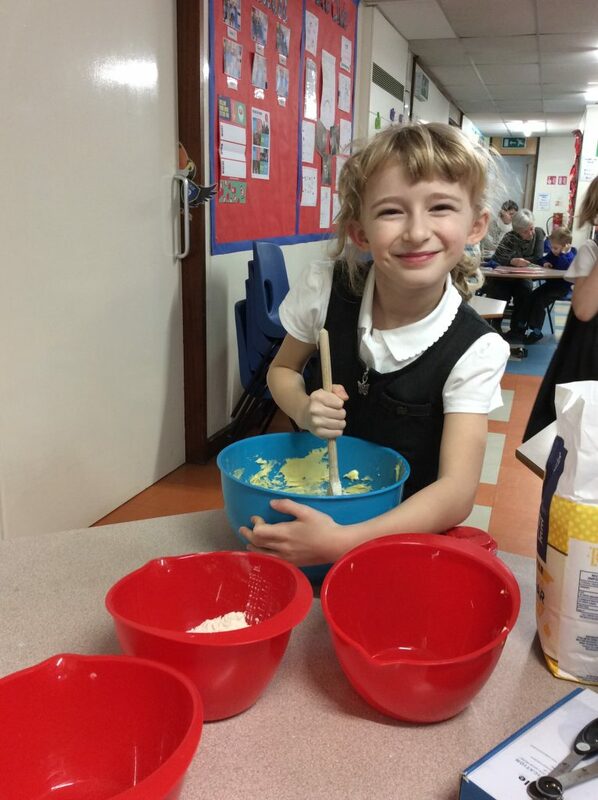 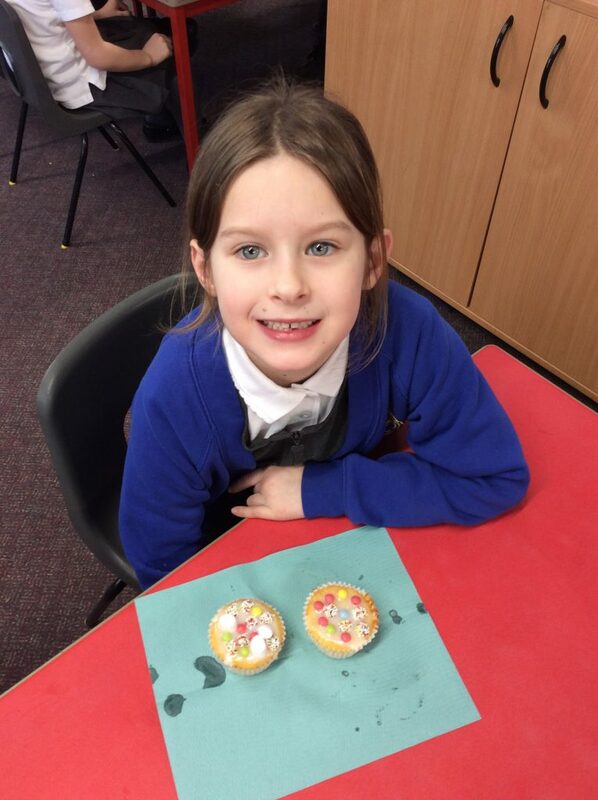 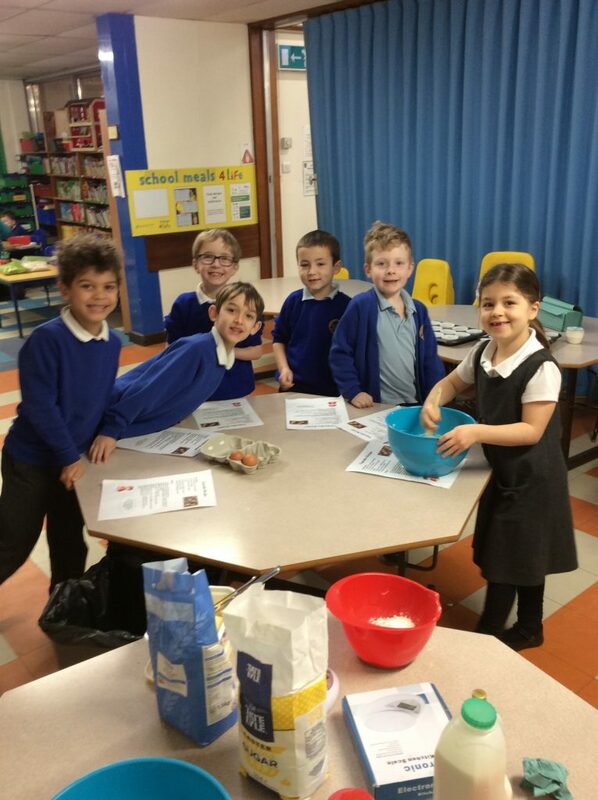 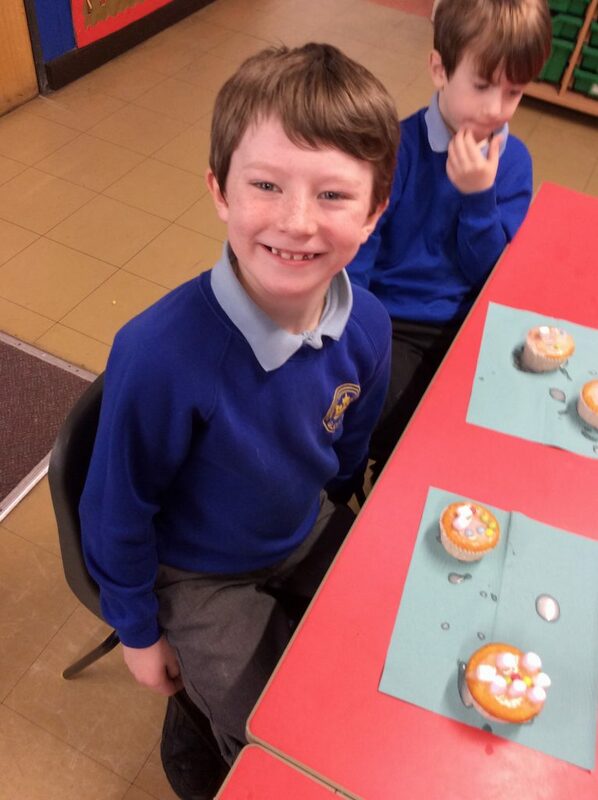 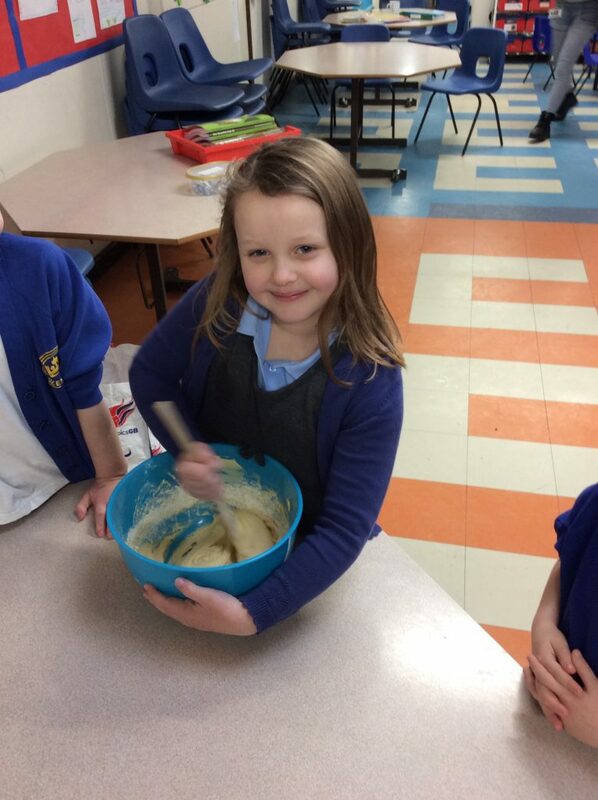 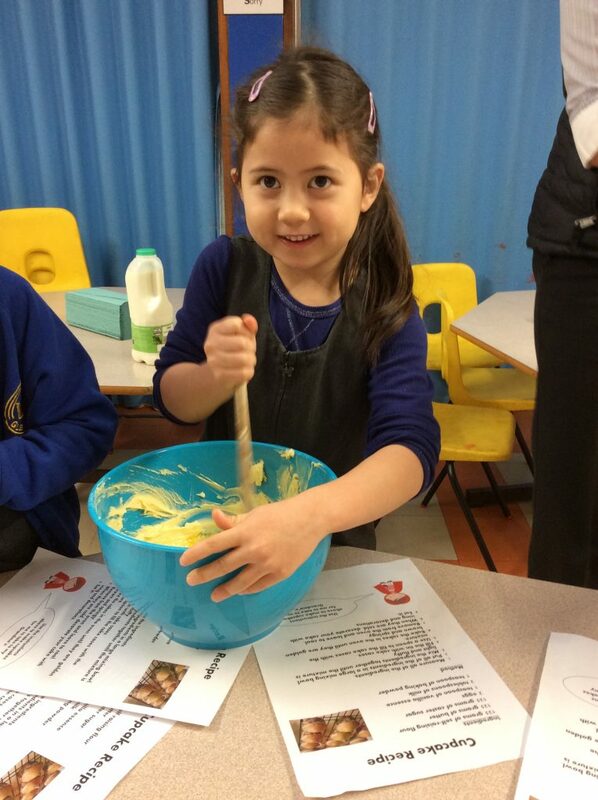 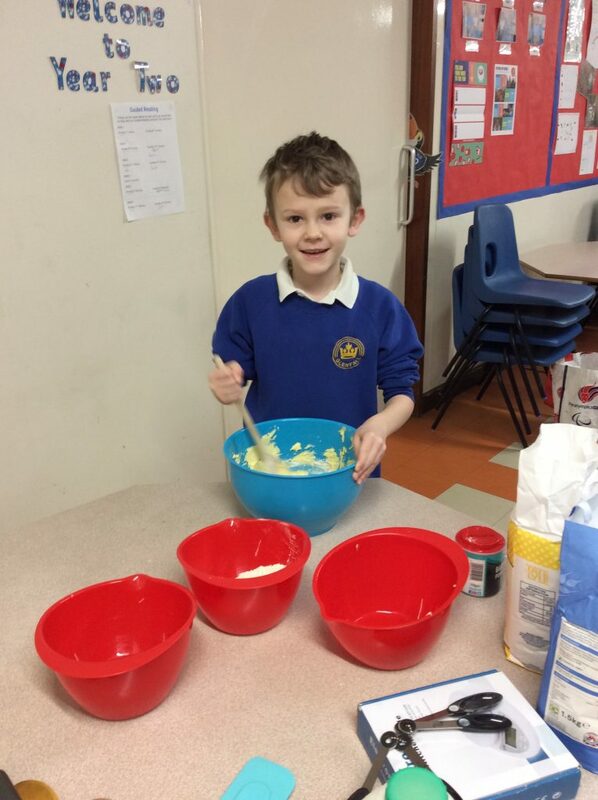 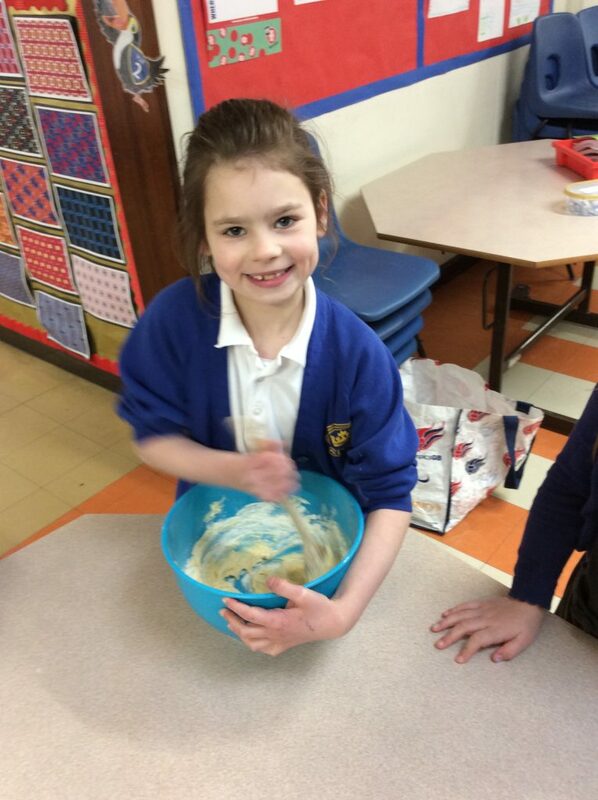 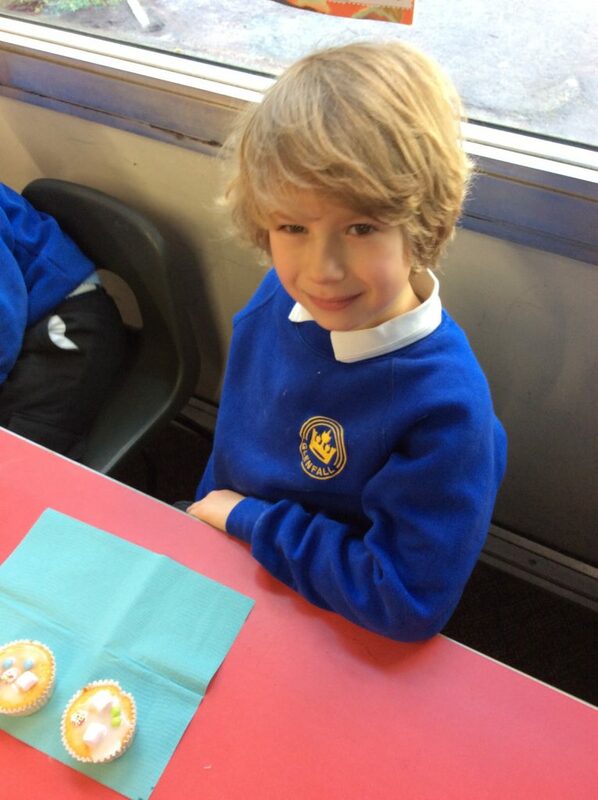 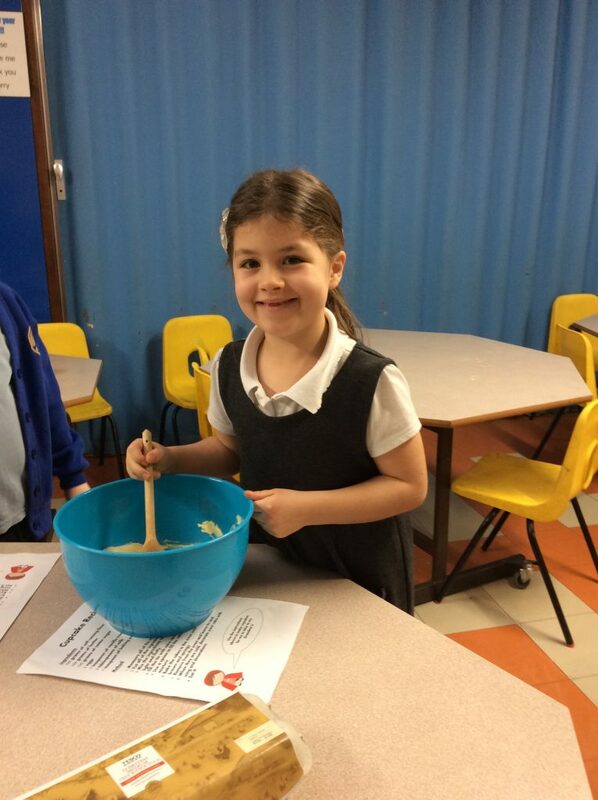 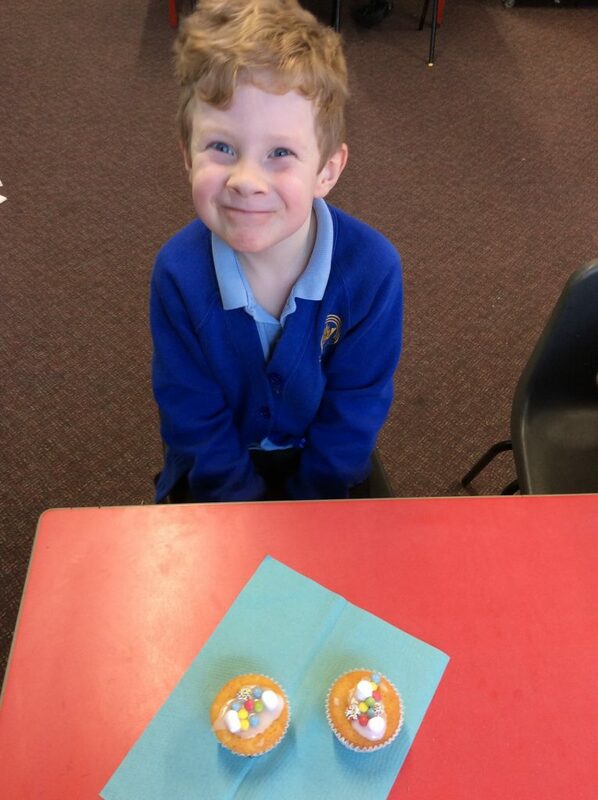 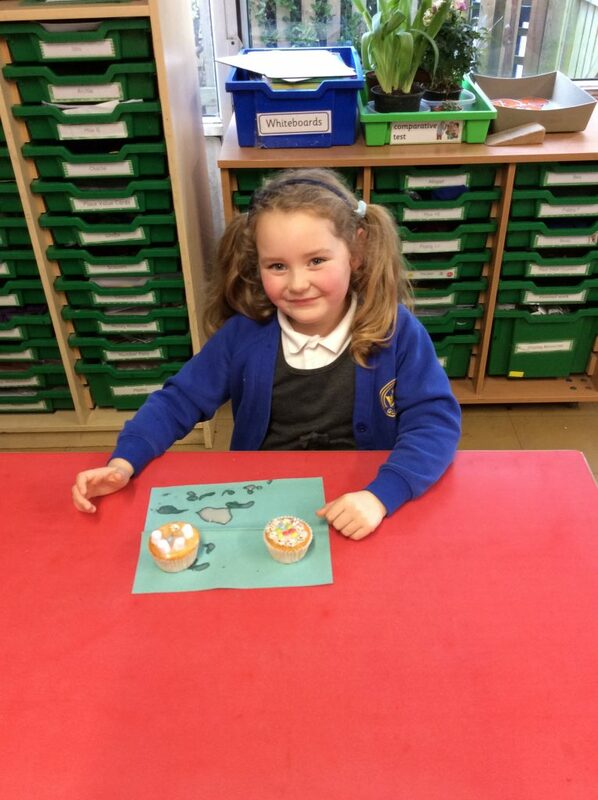 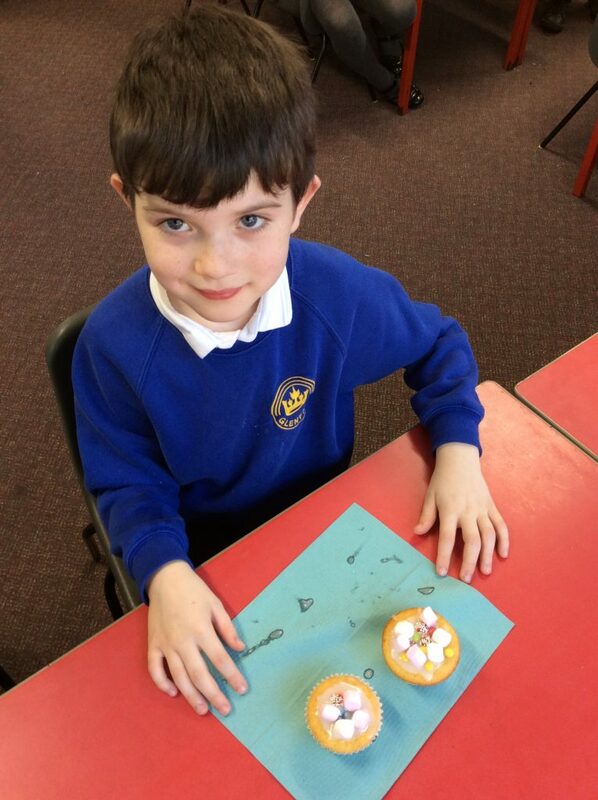 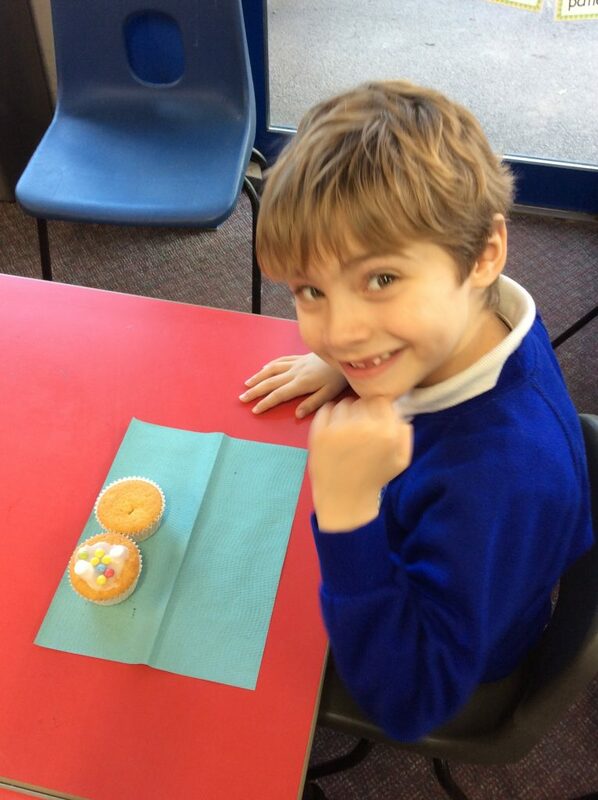 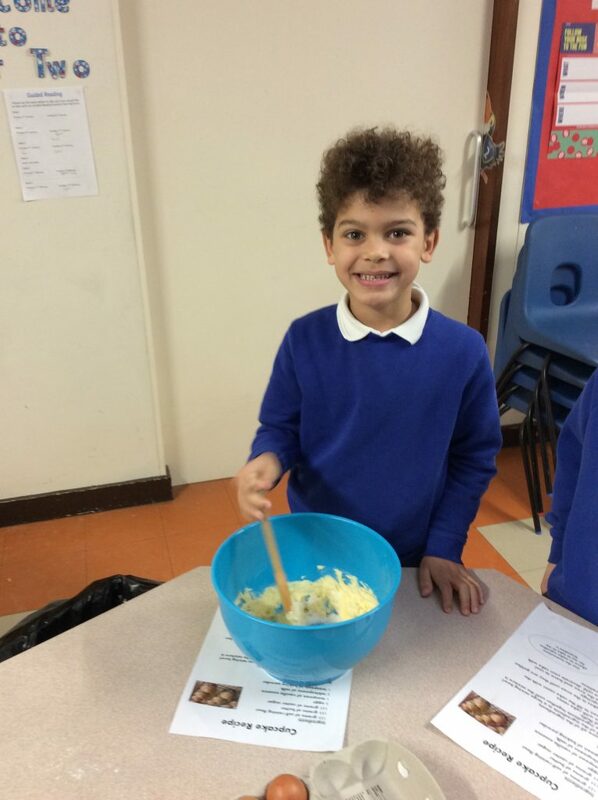 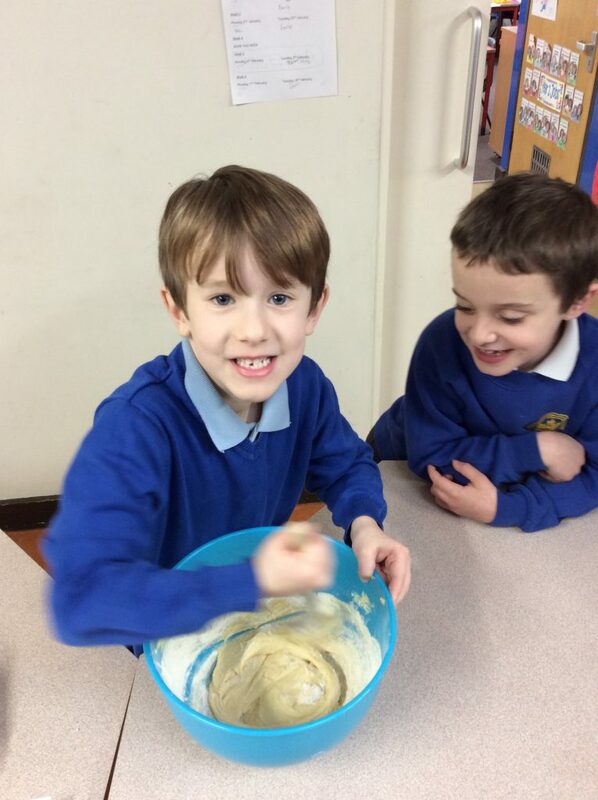 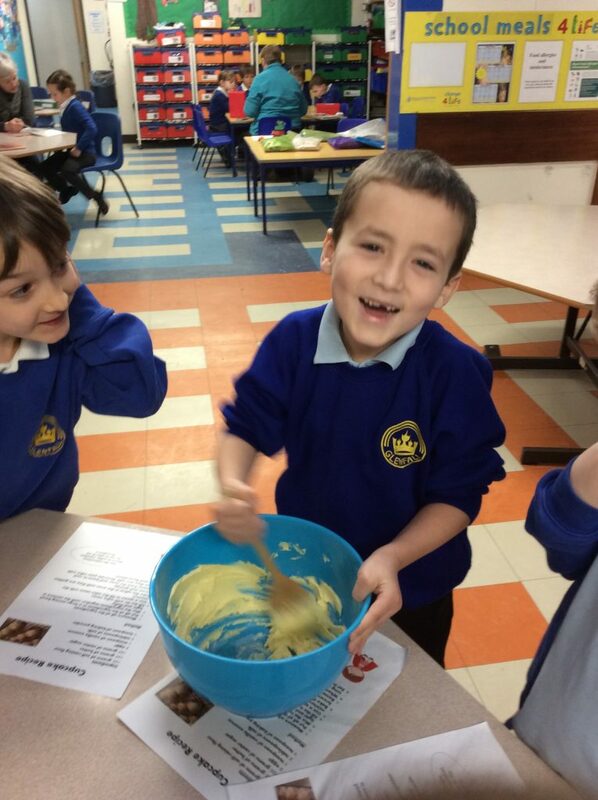 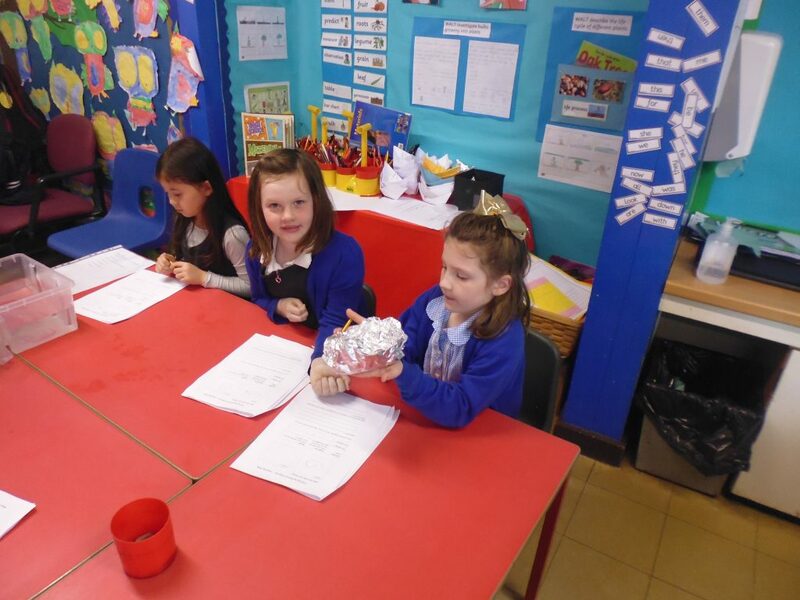 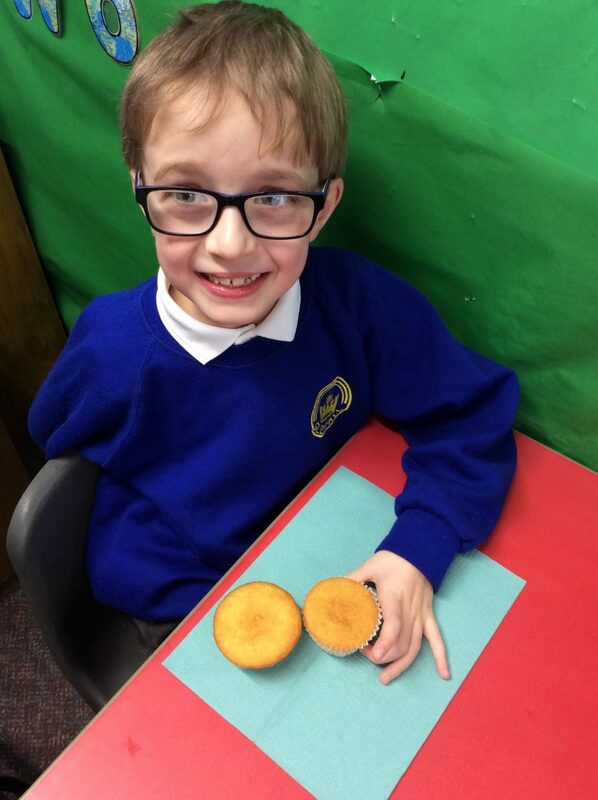 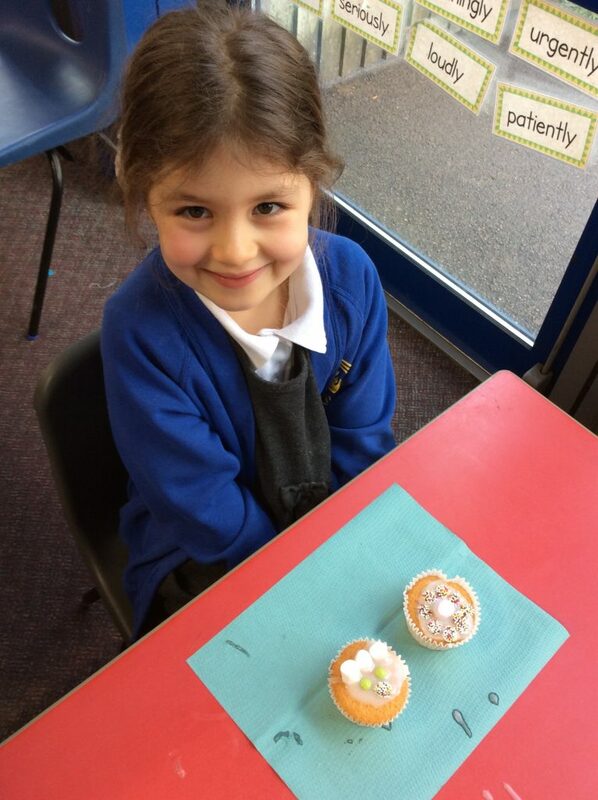 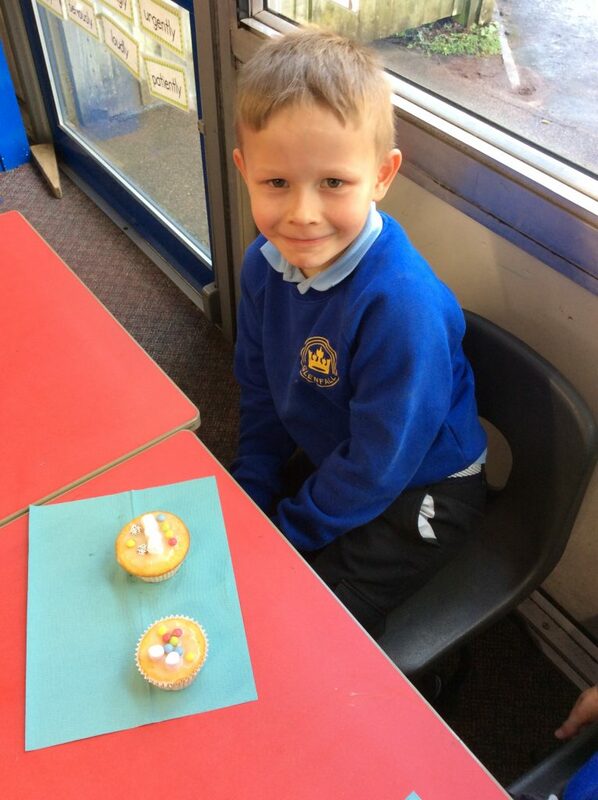 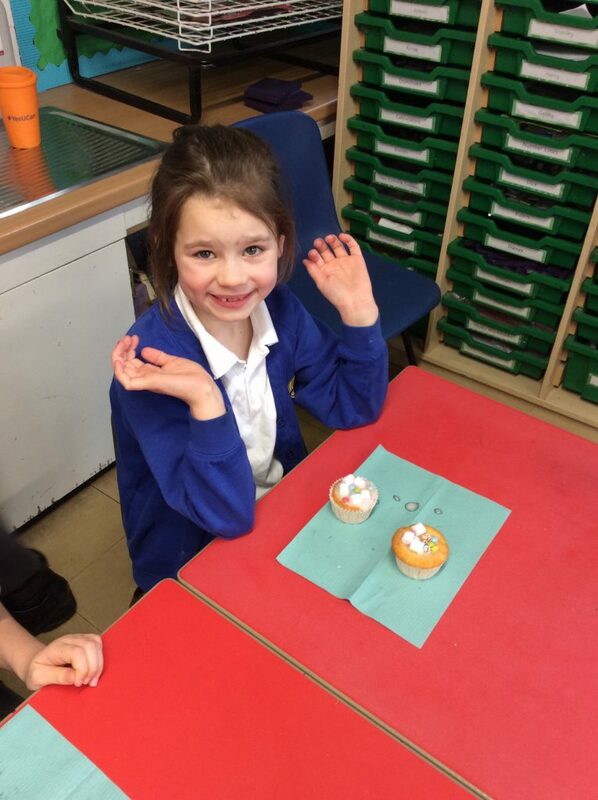 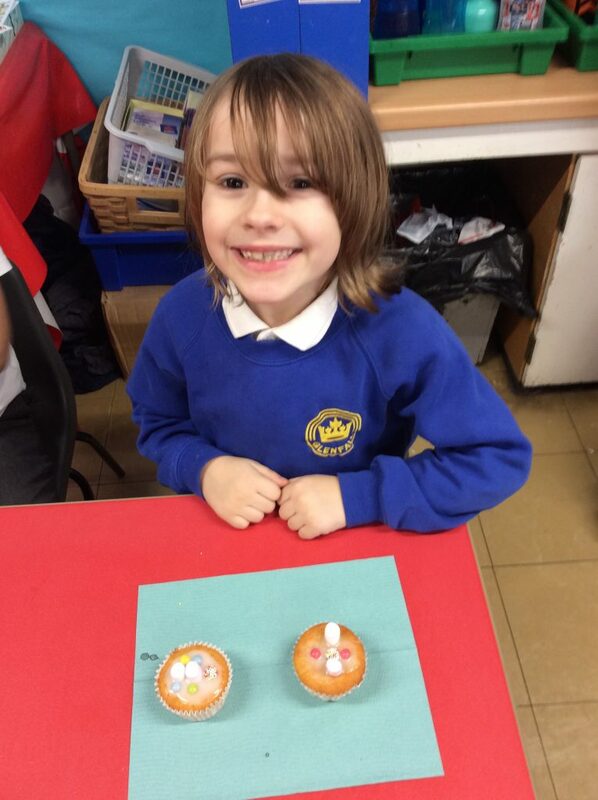 Year 2 followed a recipe to make yummy cupcakes. 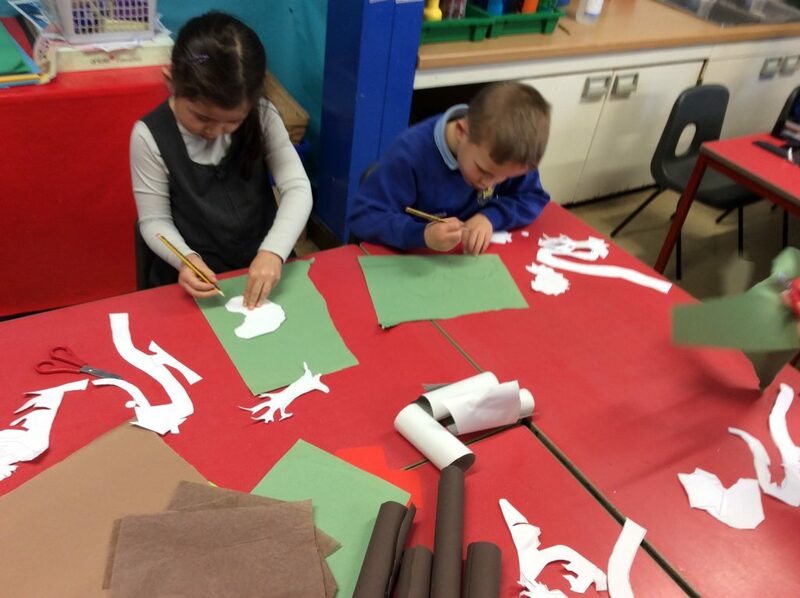 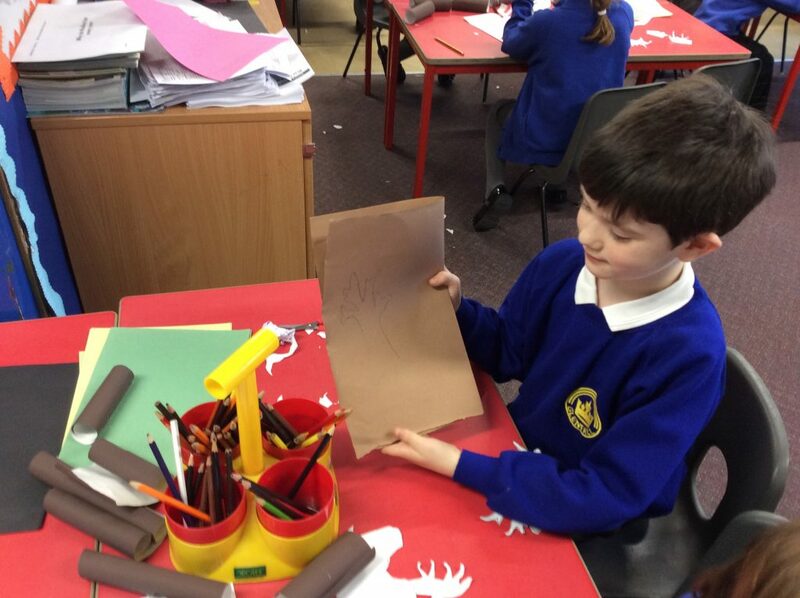 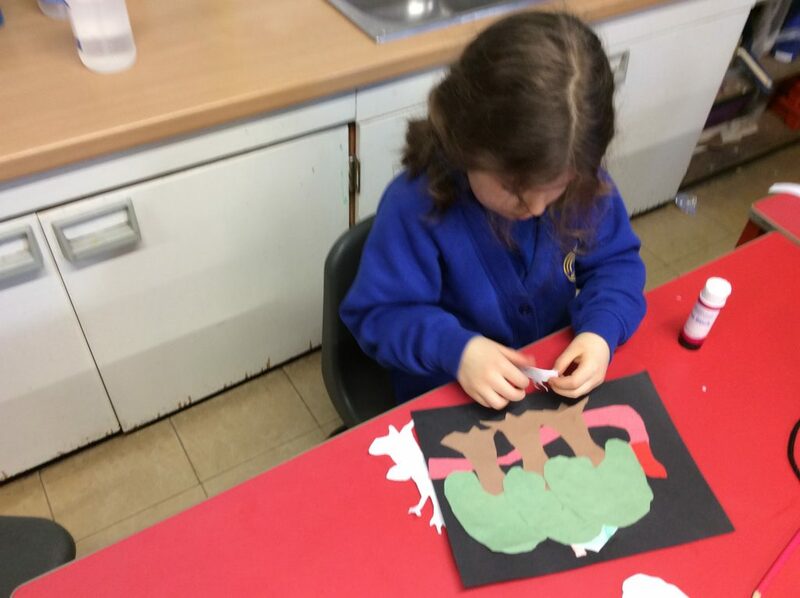 Overlapping paper to create our deep, dark forest. 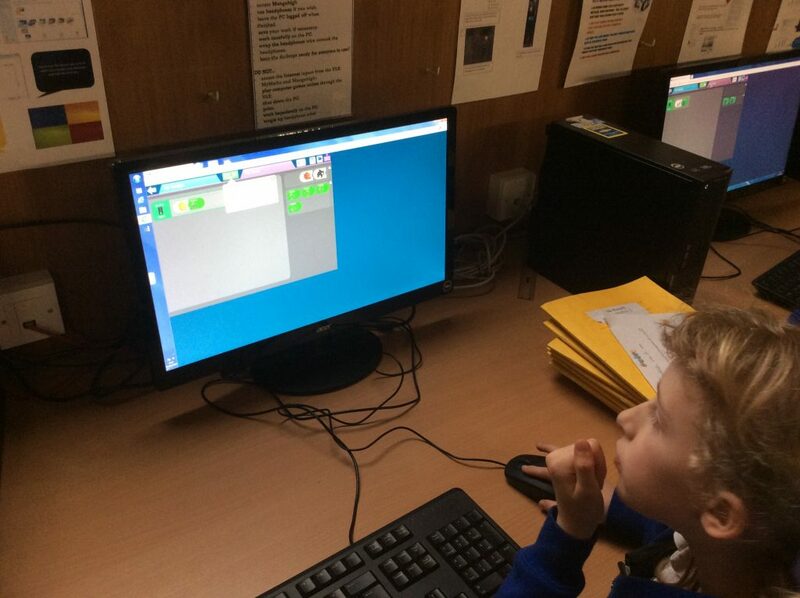 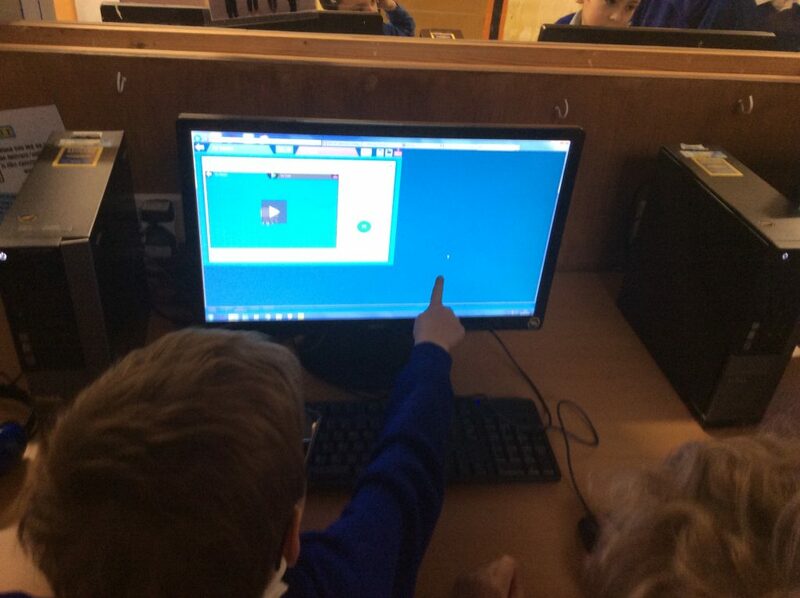 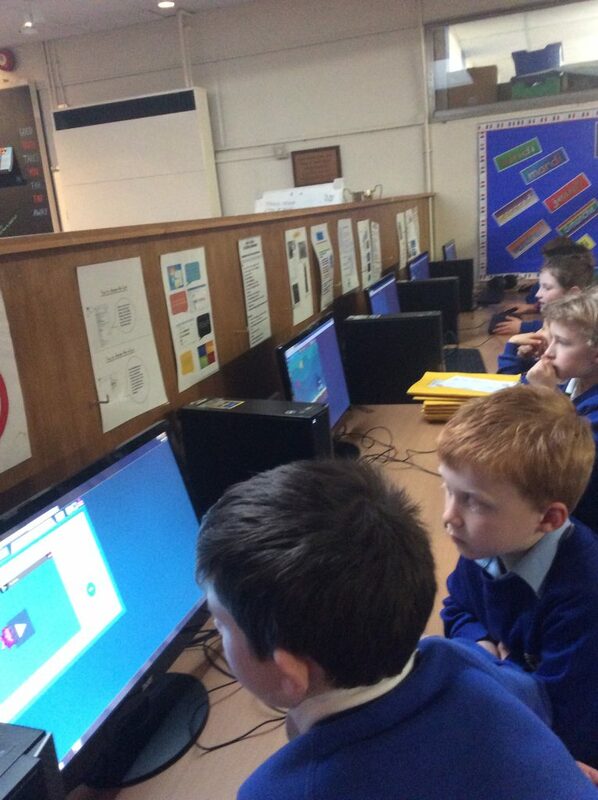 Working together to create our own algorithm in ICT.